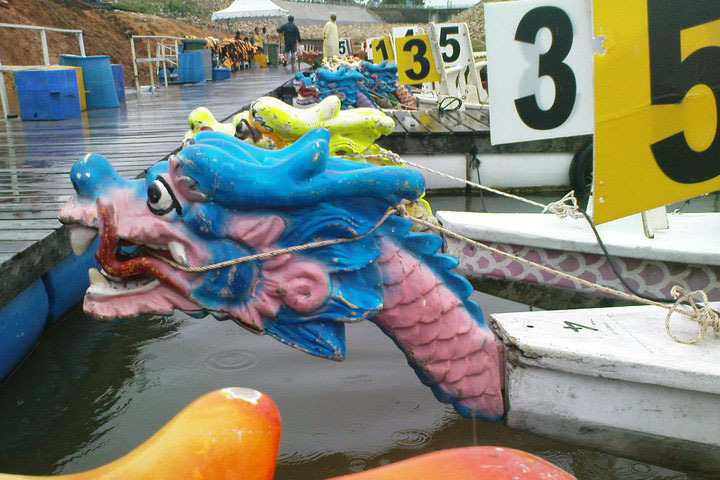 For those who missed the Penang International Dragon Boat Festival 2012 last weekend at the Teluk Bahang Dam, here is a collection of photographs of the event. 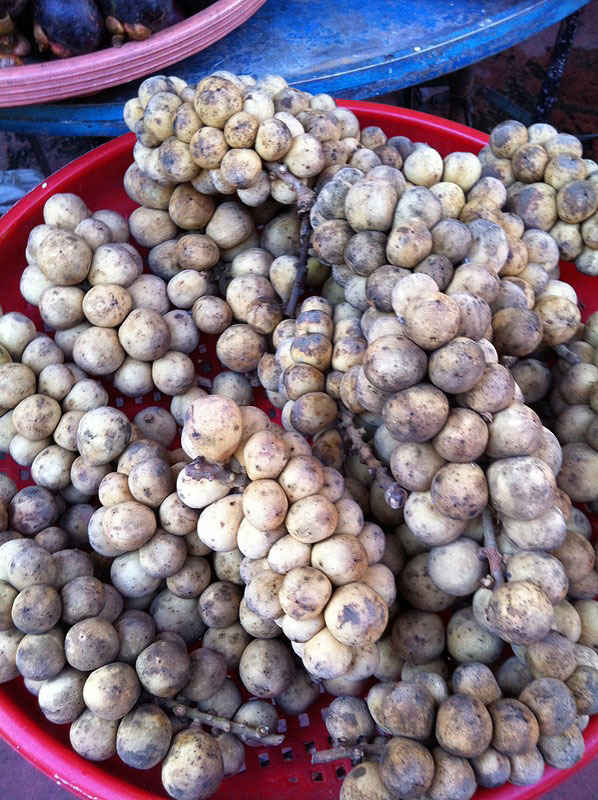 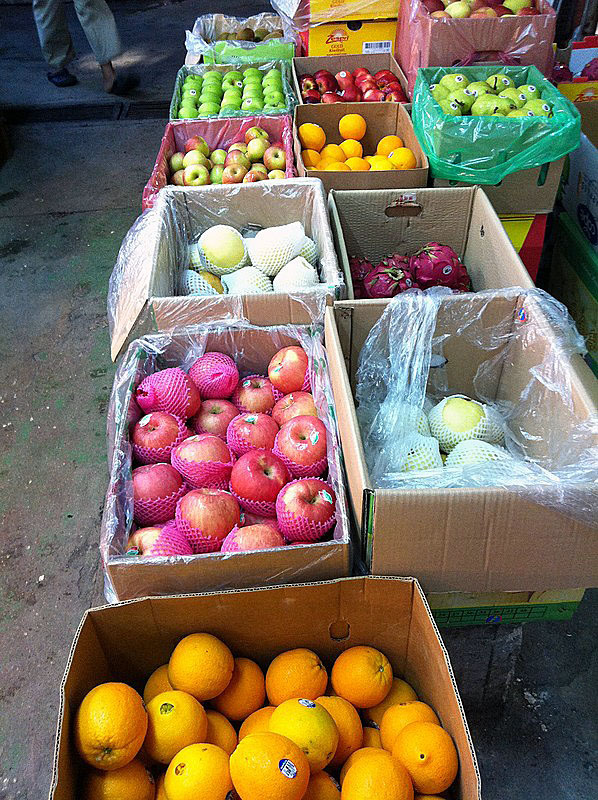 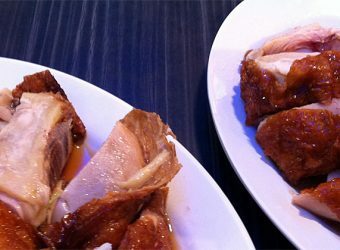 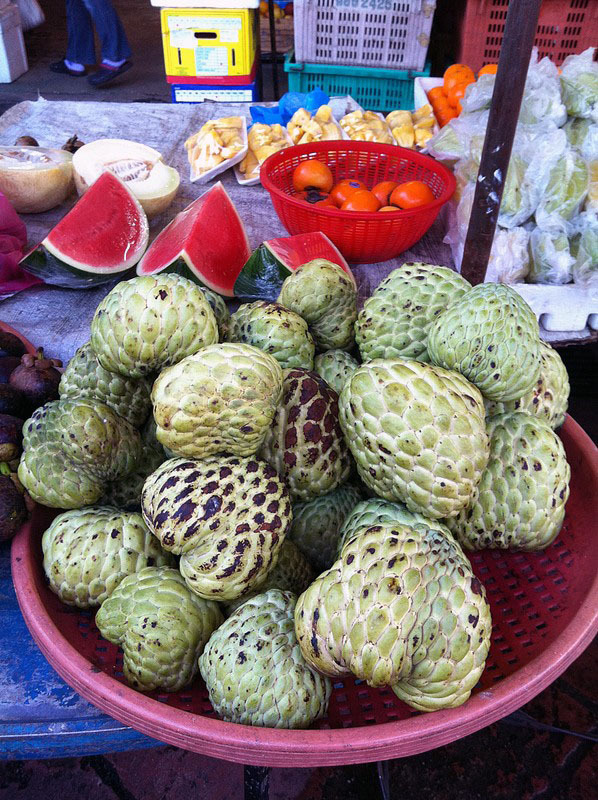 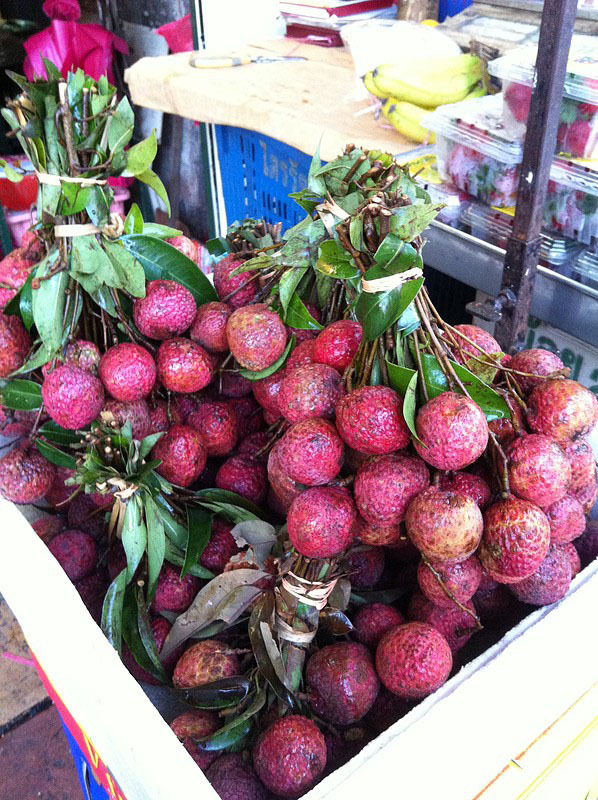 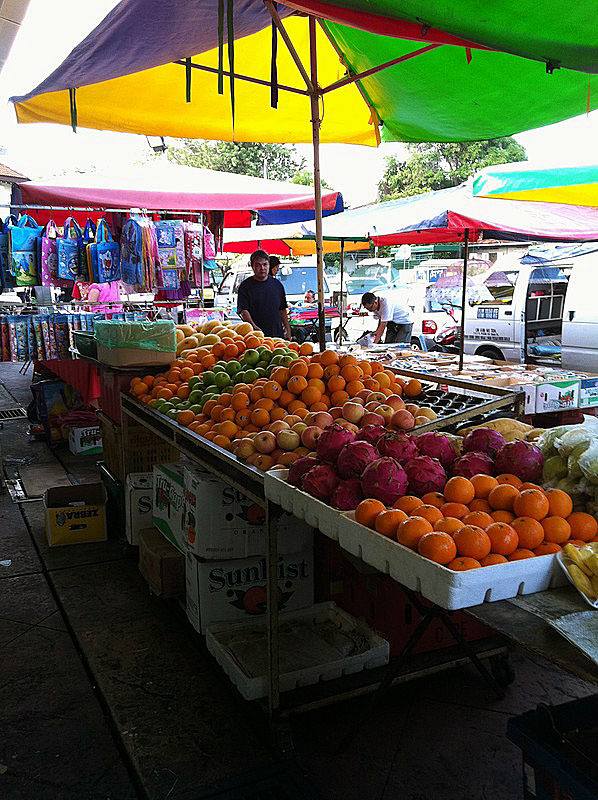 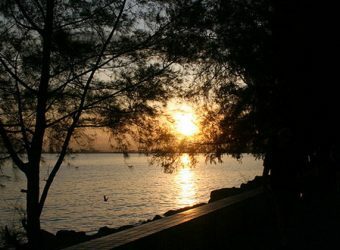 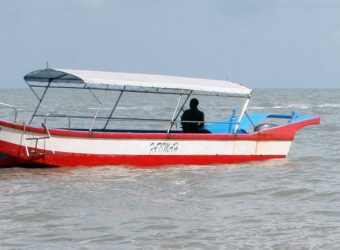 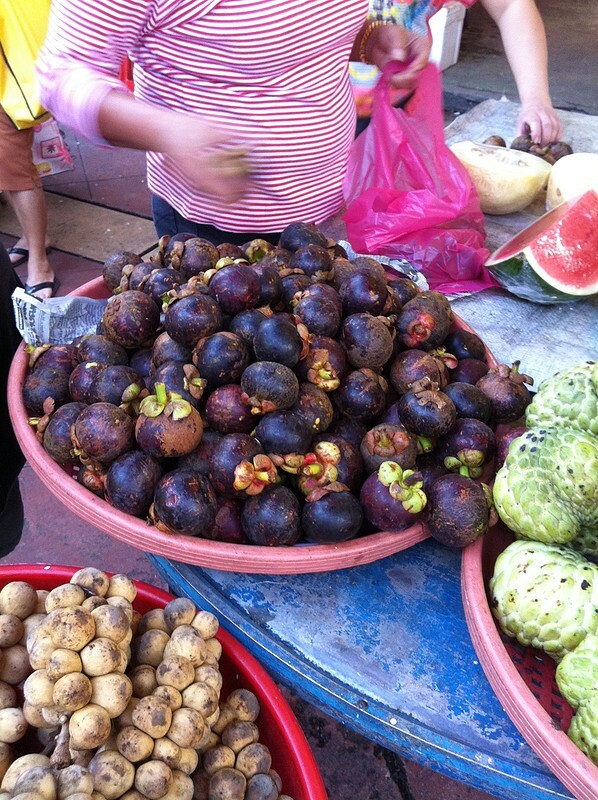 Many thanks to our friend, Kui Seong for allowing us to use these excellent photographs on penangseaview.com. 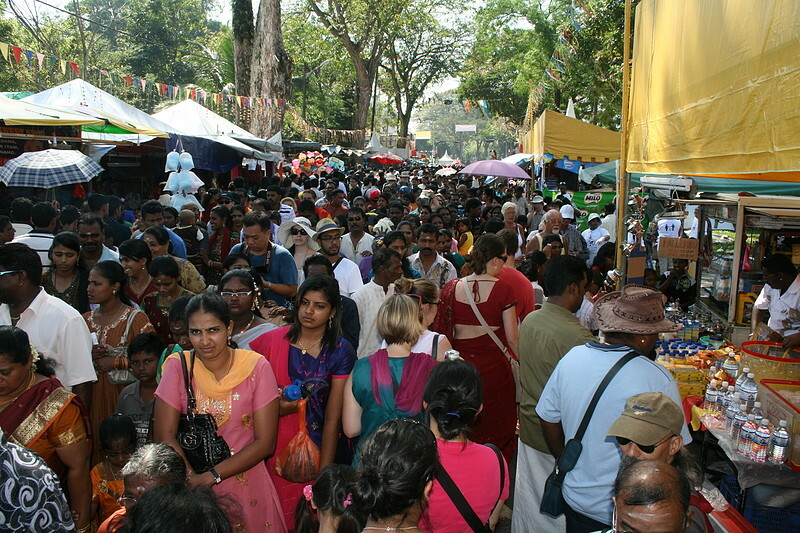 Some 14 international teams from all over the work took part in this year’s festival and I am sure those who were there can tell you how much excitement and thrill was felt all through the three days. 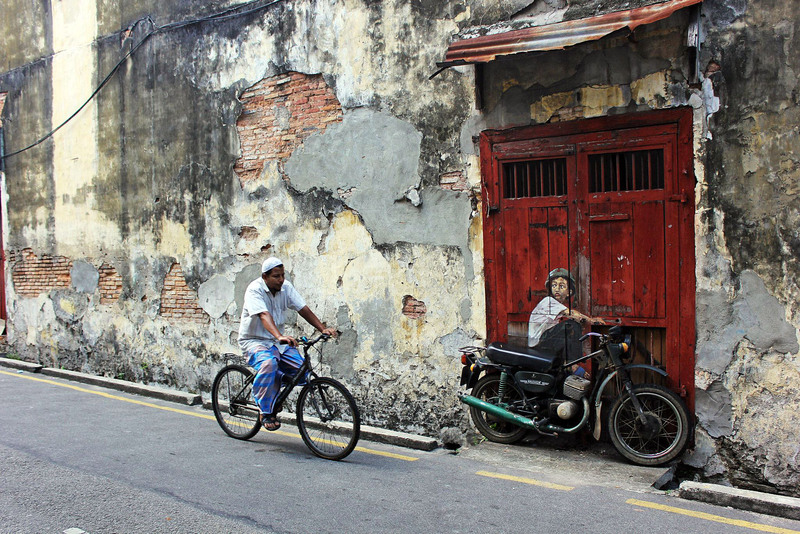 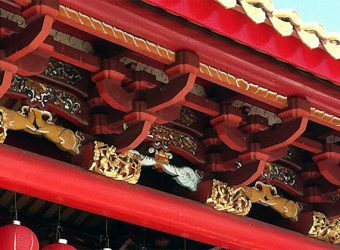 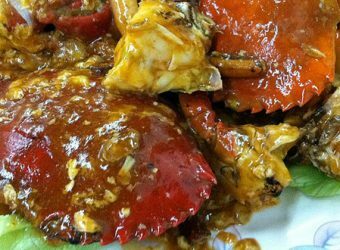 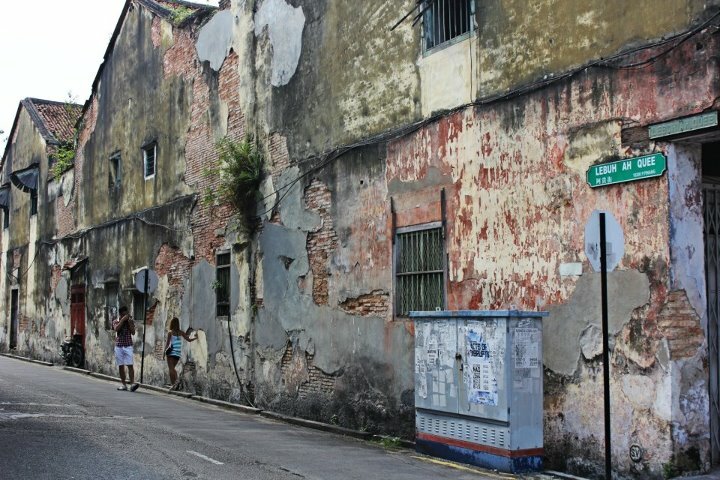 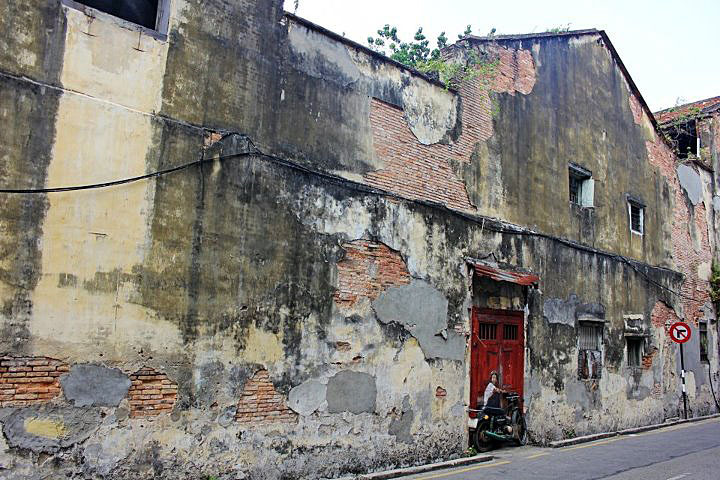 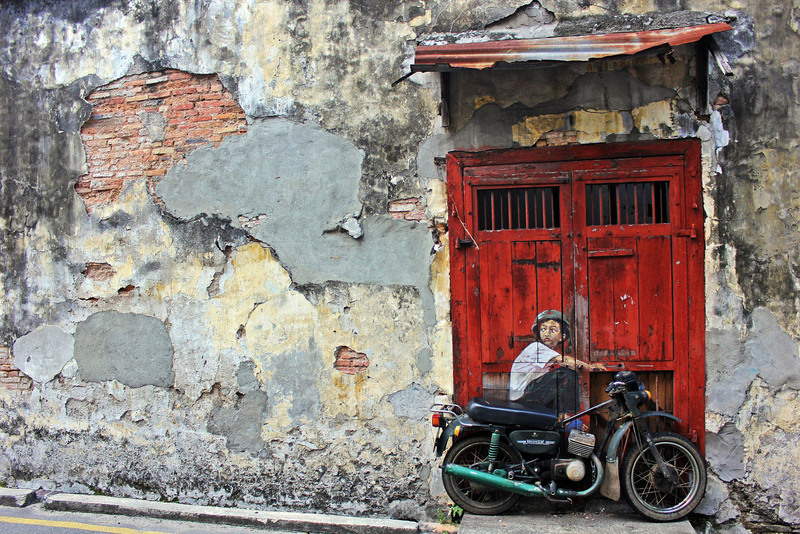 The New York Times published an online photo slideshow featuring Penang with the ever so appropriate title, “Hidden Treasures in Penang”. 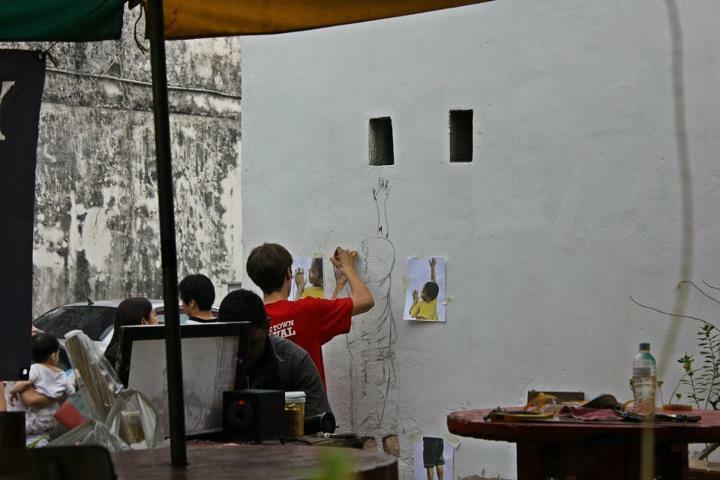 Check out the photos yourself using the link below. 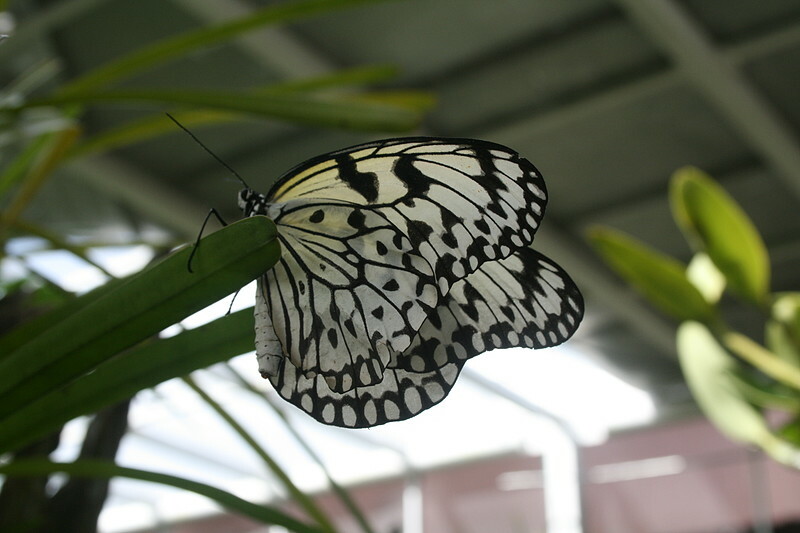 We enjoyed the photos and we hope you will too. 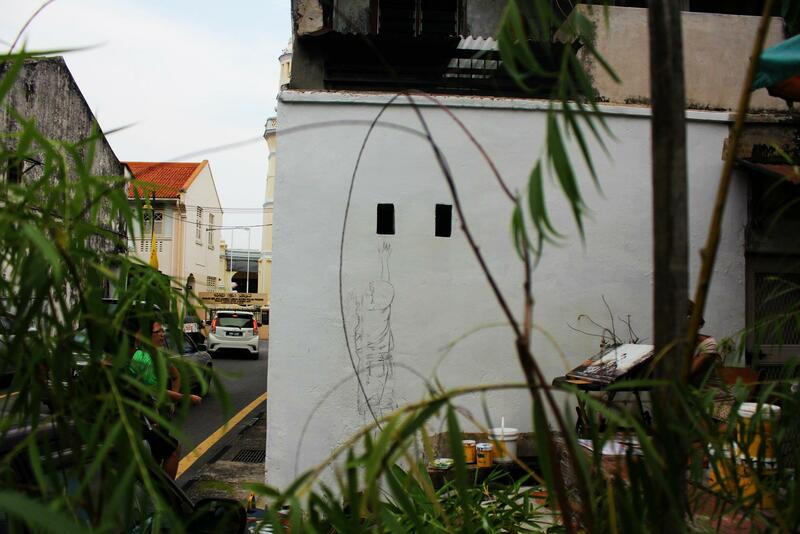 Thanks to our friend, here is a collection of photographs of his work in progress. 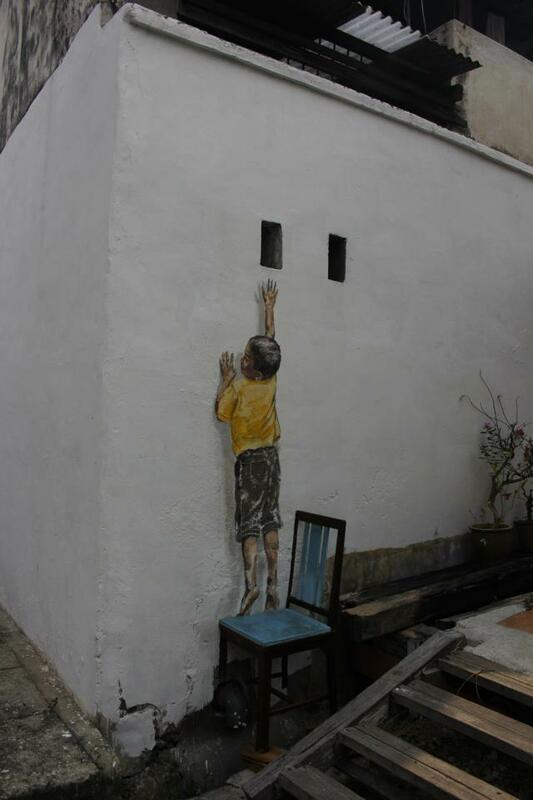 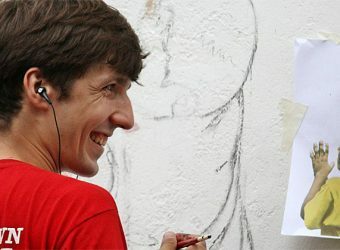 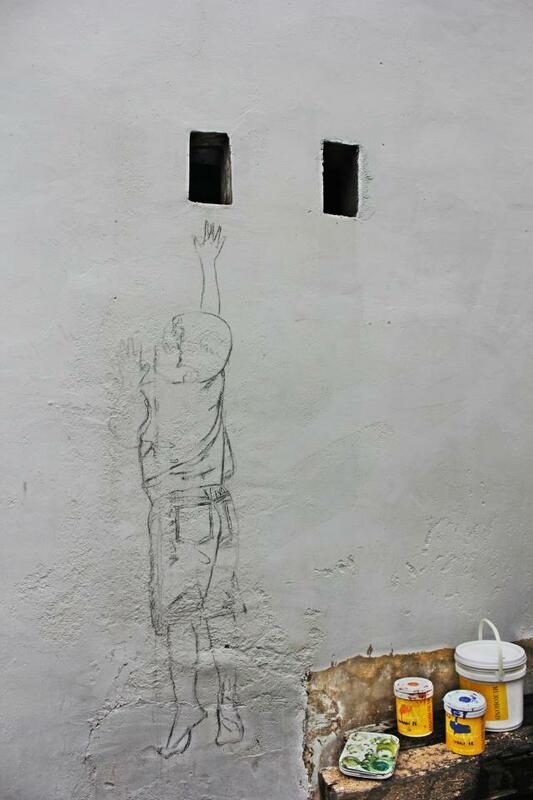 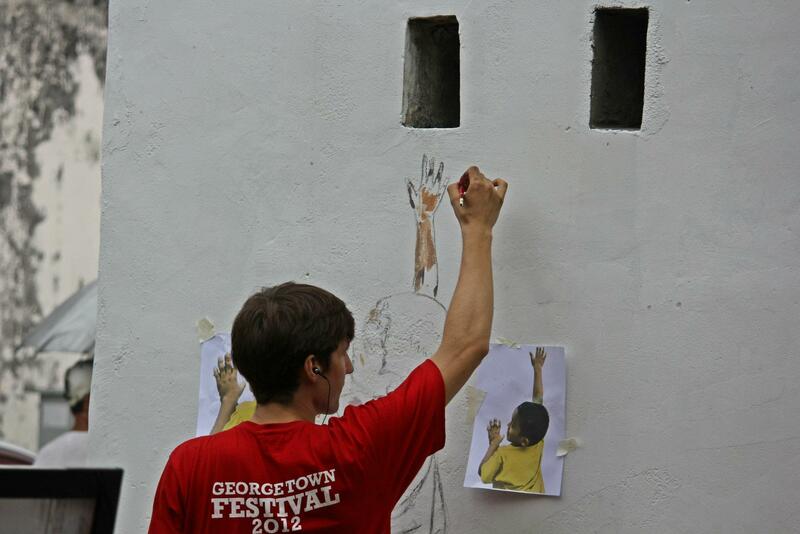 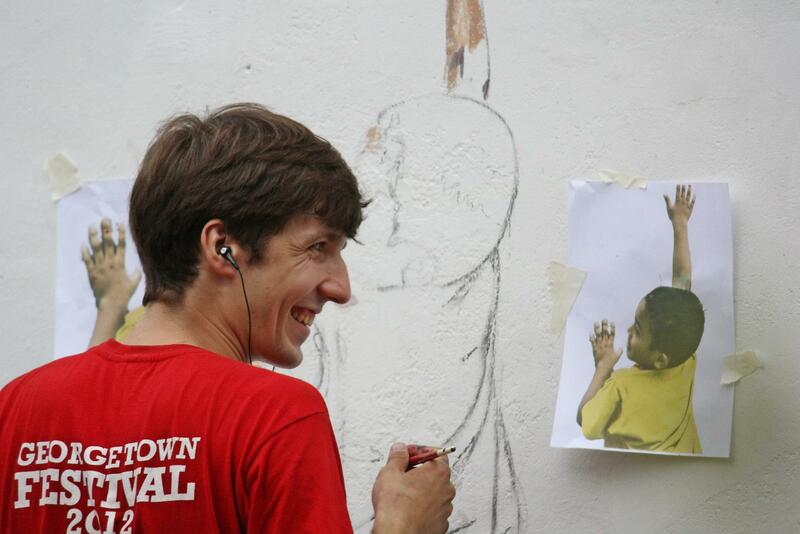 Watch the street artist work on his mural, a boy reaching up to a ‘peek hole’. 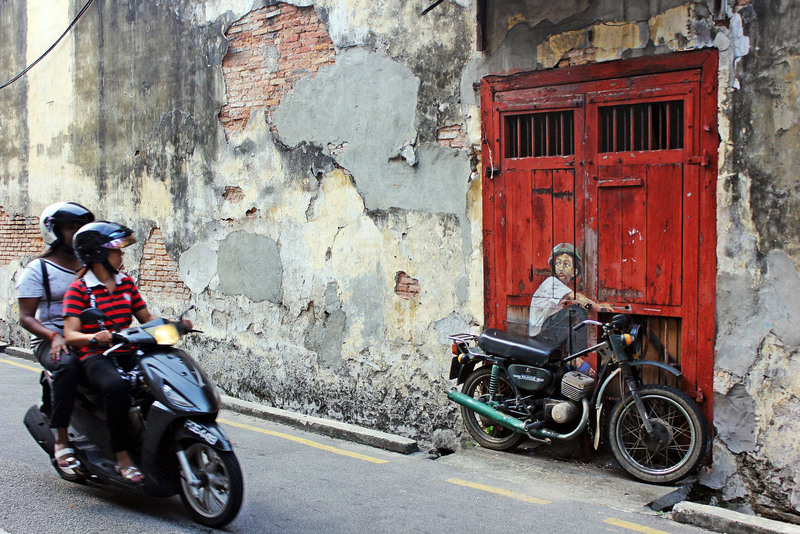 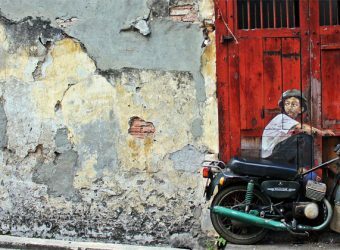 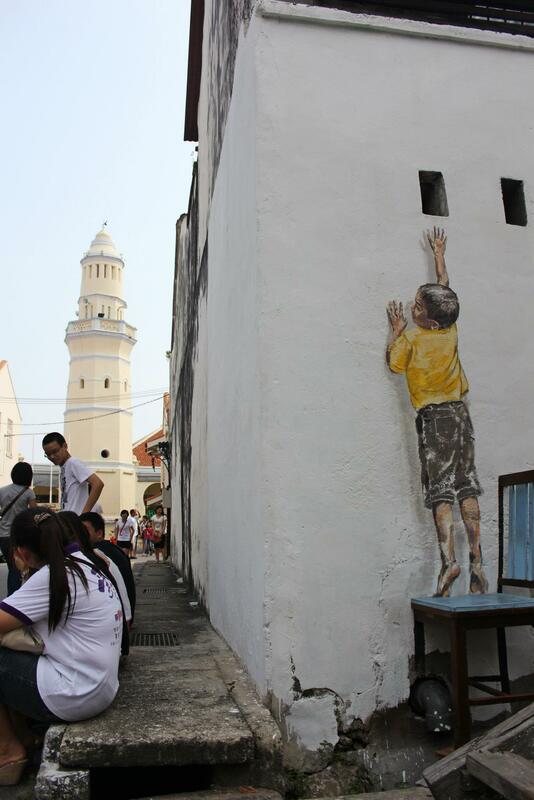 The well known international street artist, Ernest Zacharevic has made his mark in Penang again, this time on Ah Quee Street (Lebuh Ah Quee). 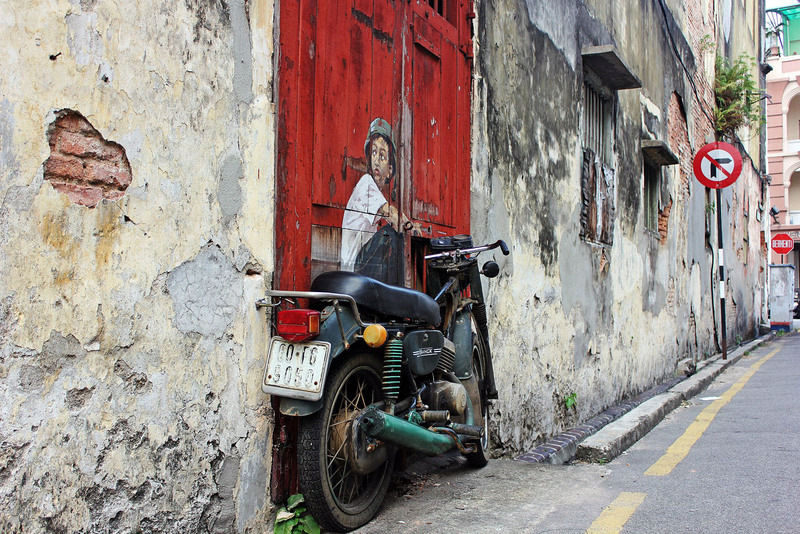 The boy on a motocycle mural can be found on the adjacent wall of a building on Ah Quee Street. 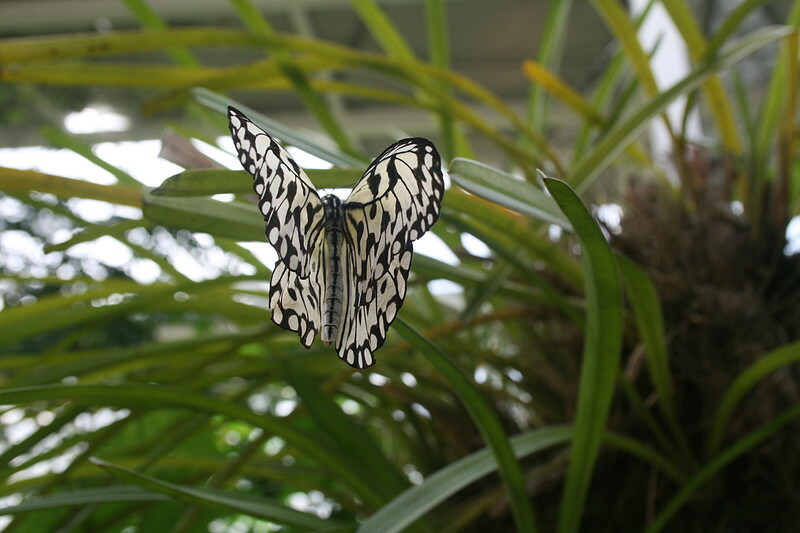 Thanks to one of our friends, here is a collection of photographs. 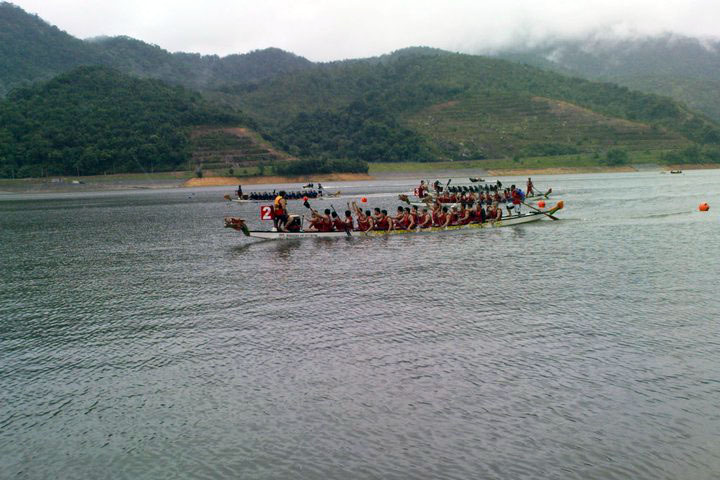 Thanks to one of our friends, we have a small collection of photos of previous Dragon Boat Races at the Teluk Bahang Dam. 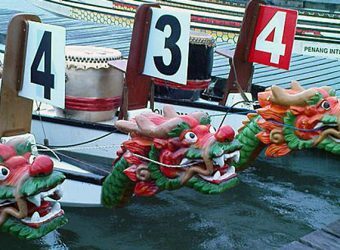 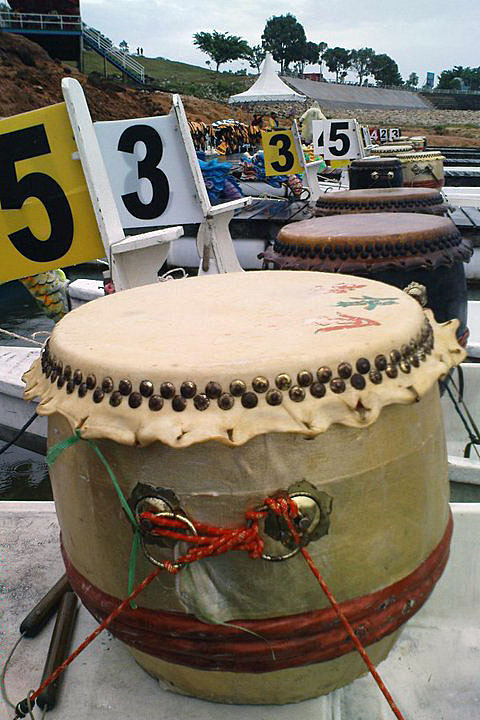 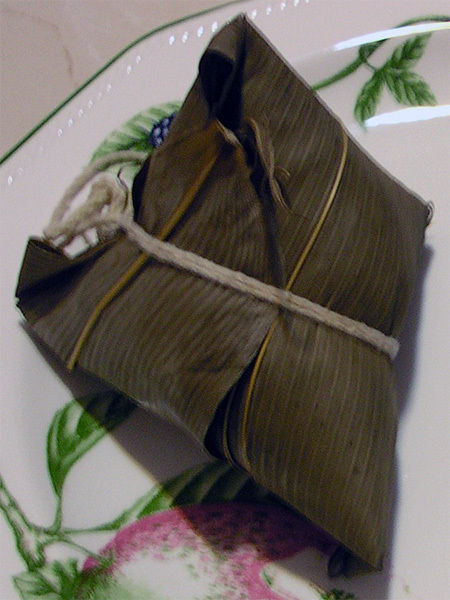 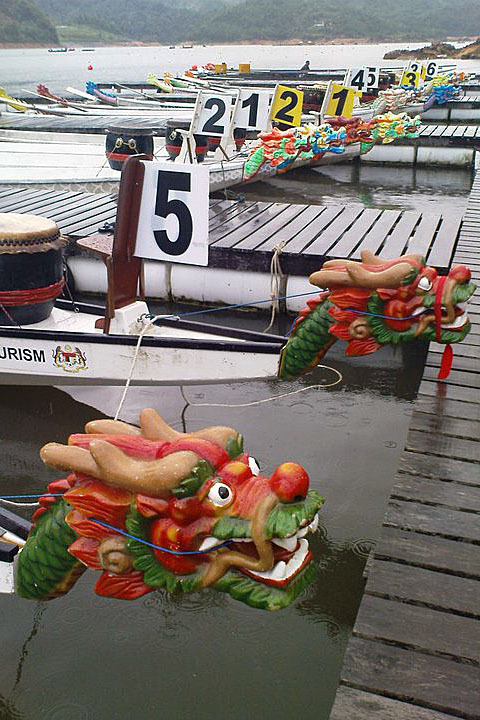 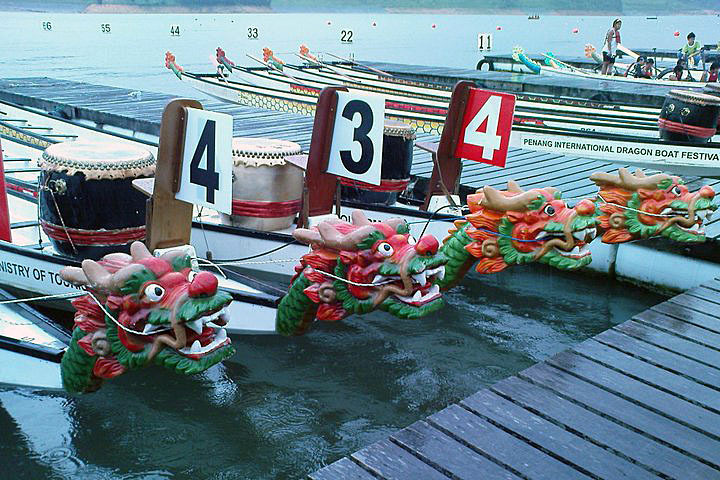 This year, the International Dragon Boat Festival will also be held at the Teluk Bahang Dam from the 30 June to 1 July 2012. 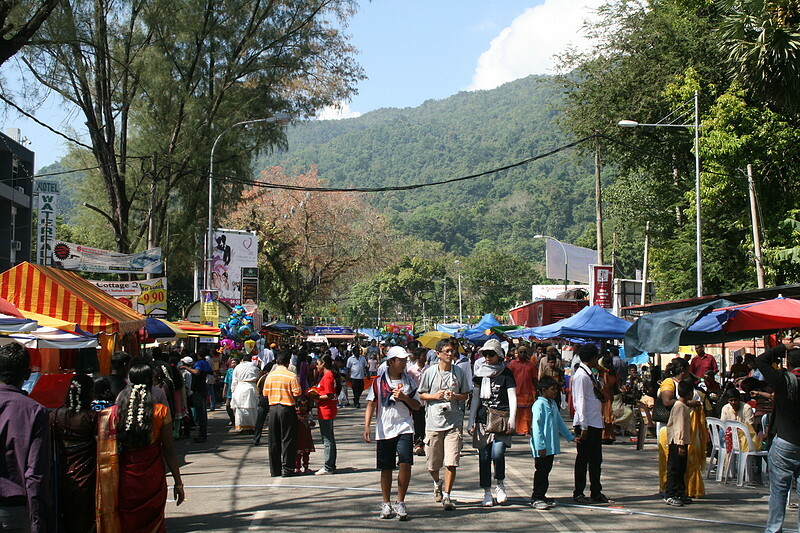 For more information on our article on the festival click here. 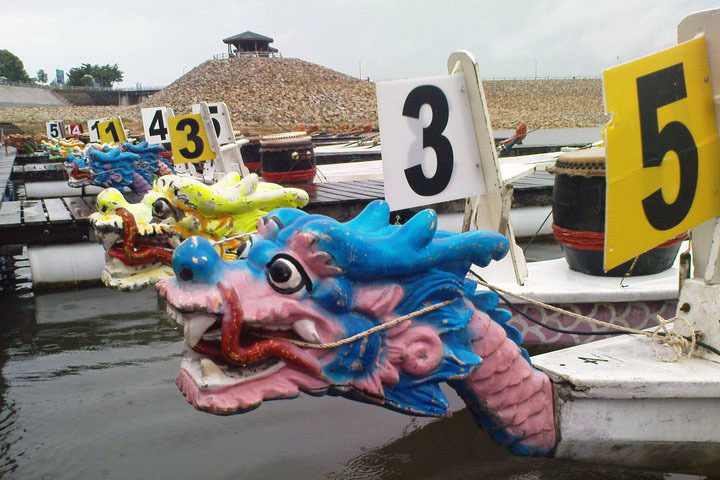 Penang International Dragon Boat Festival takes place annually at the Teluk Bahang Dam in the North Coast of the island, not far from Batu Ferringhi. 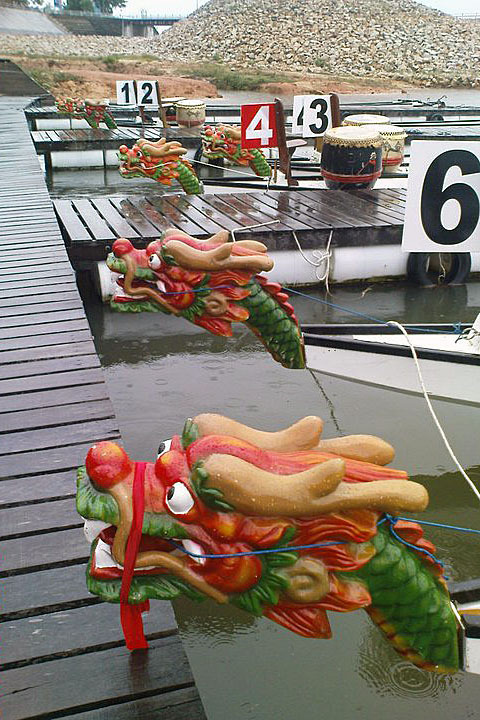 This year, the race will be held on the 30 June to 1 July 2012 between 9:00 am to 5:00 pm. 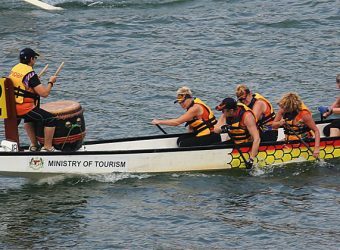 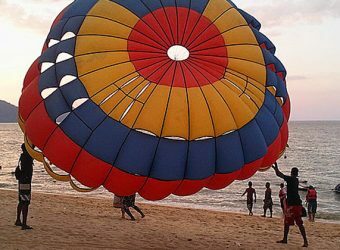 Witness the high powered water sports this summer with teams taking part coming from around the world. 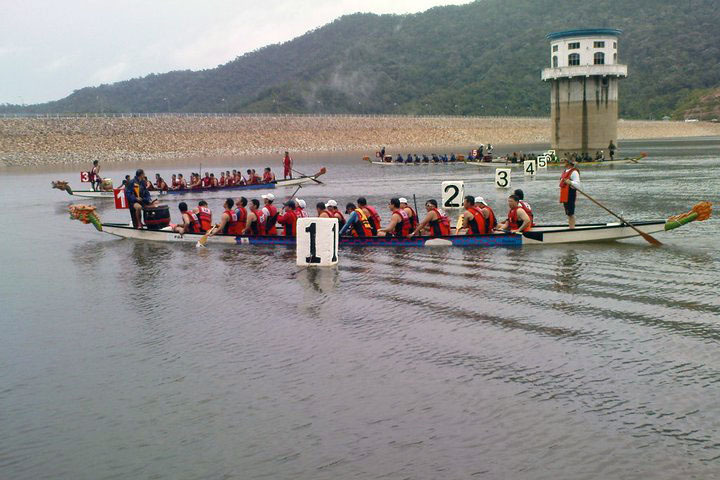 There are altogether 14 International Teams this year from South Africa, United Arab Emirates, United Kingdom, United States, Australia, Thailand, Phillipines and New Zealand. 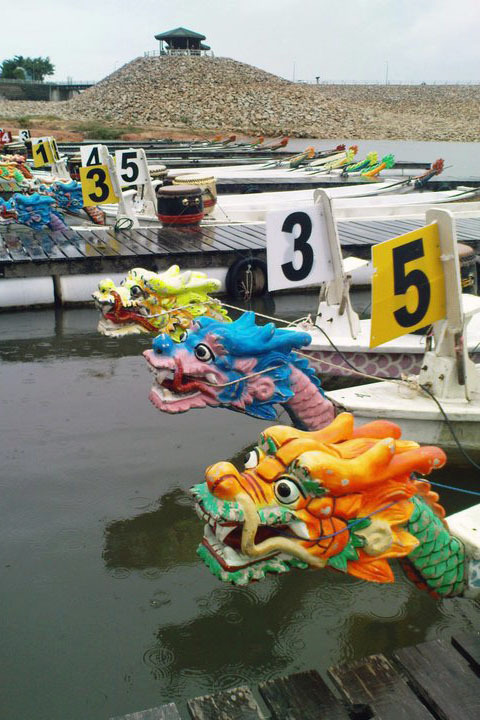 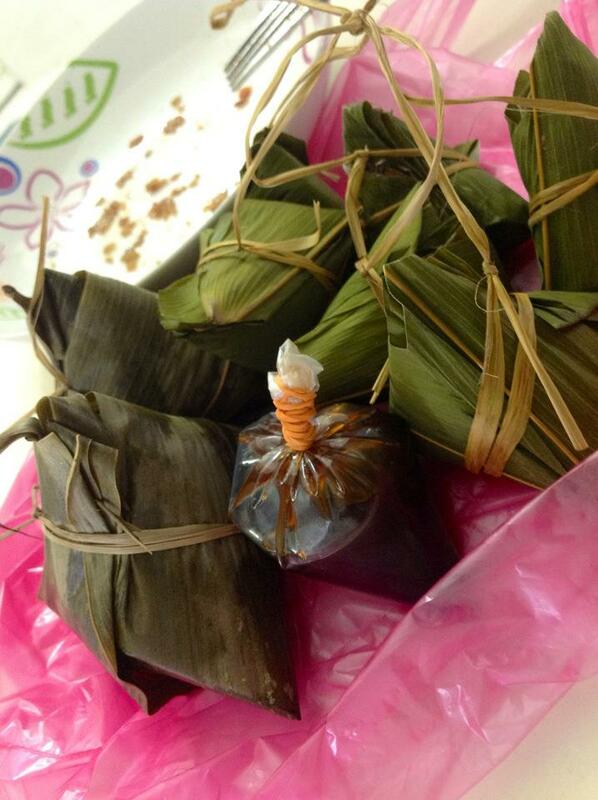 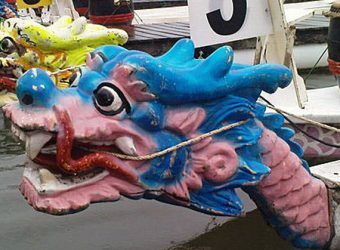 For more information on the event, visit Penang International Dragon Boat Festival website. 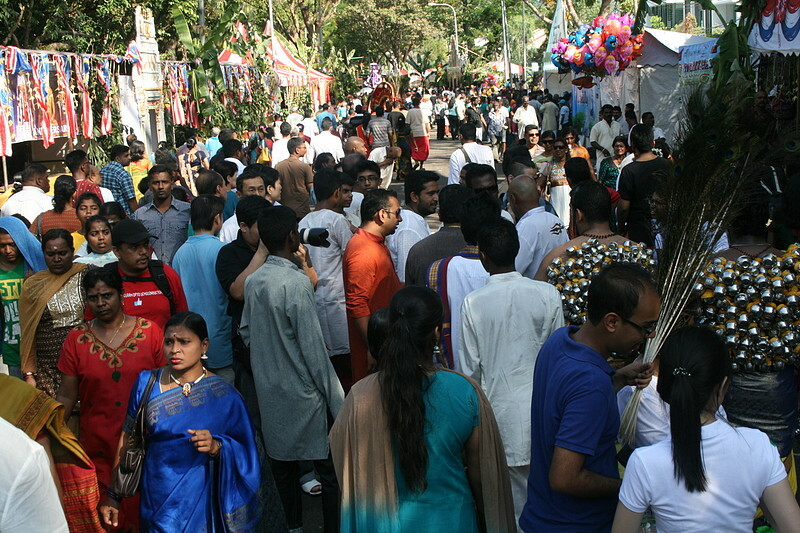 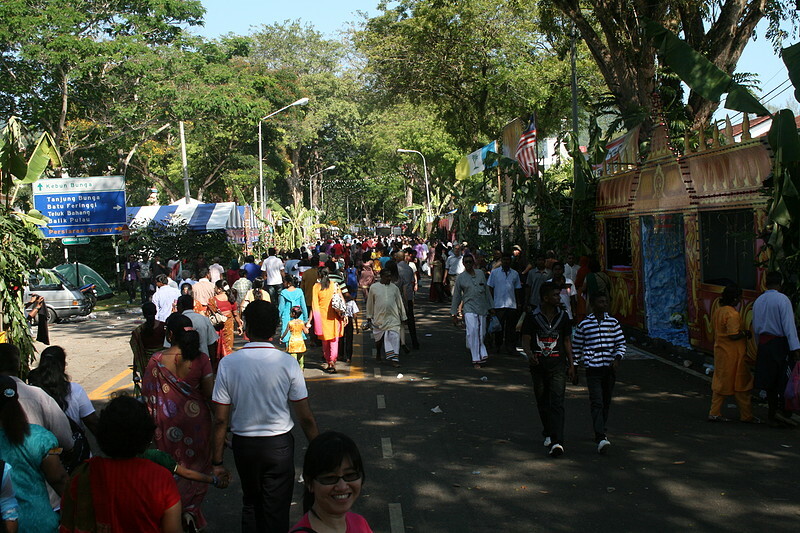 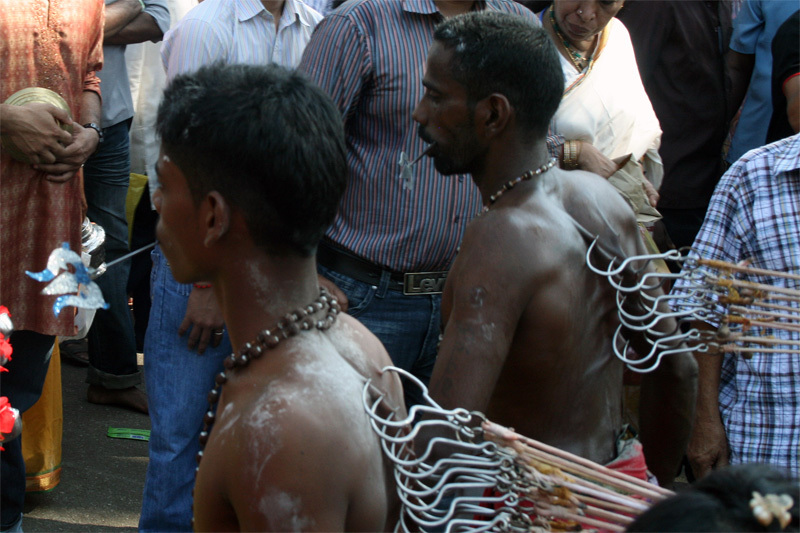 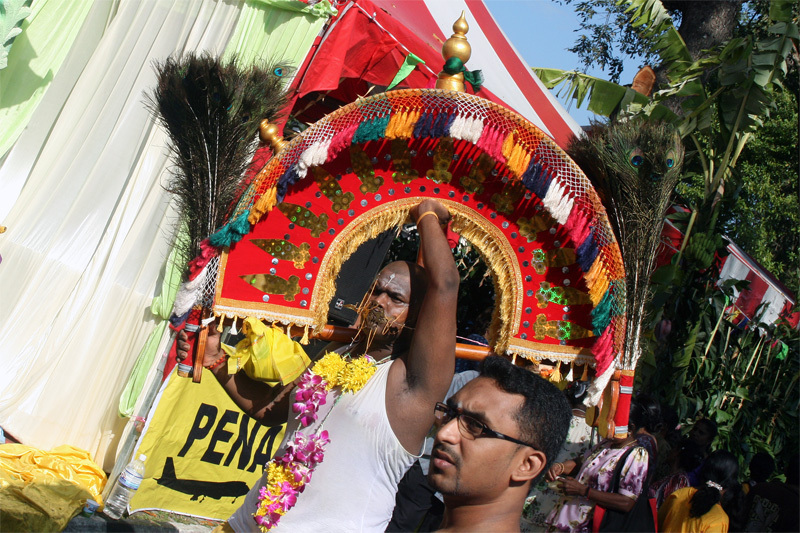 We were very fortunate to witness the Thaipusam festival while in Penang. 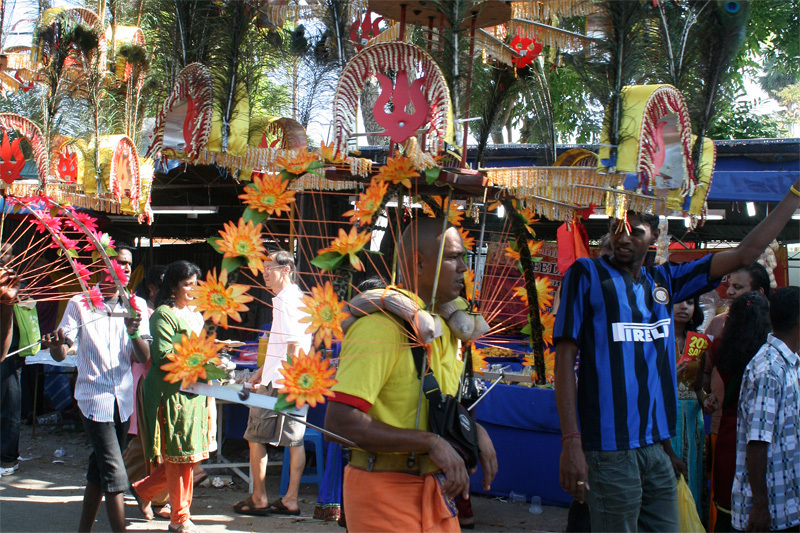 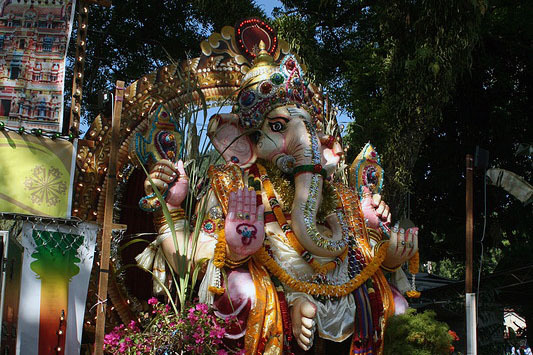 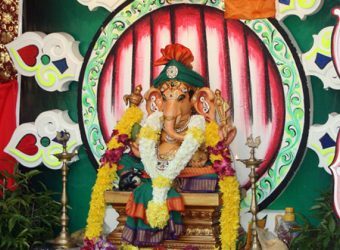 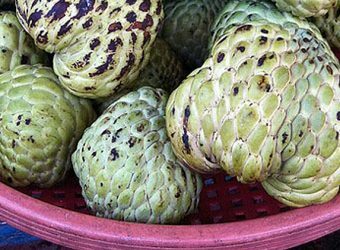 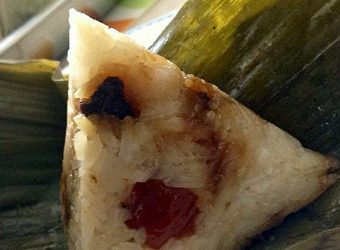 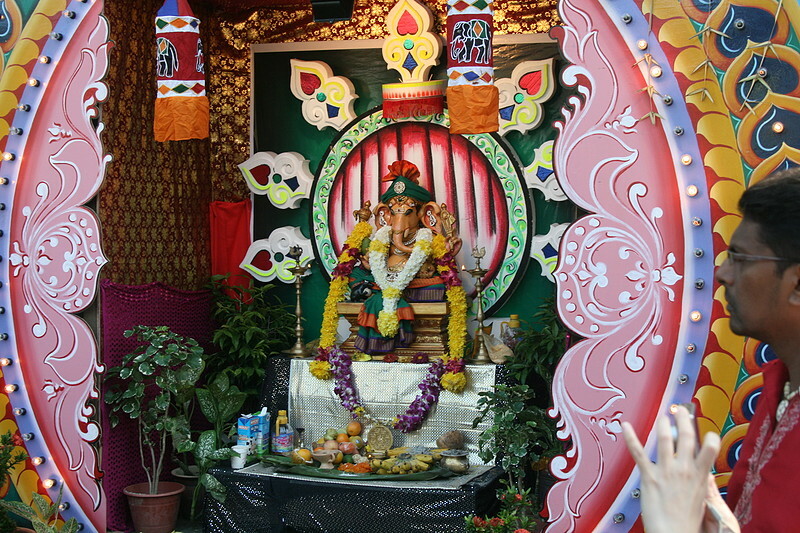 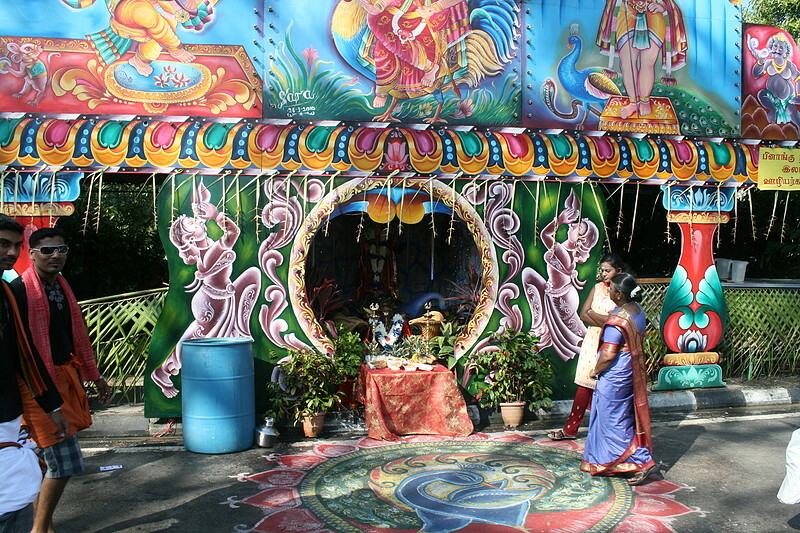 A Hindu festival celebrated mostly by the Tamil community on the full moon in the Tamil month of Thai (around mid January to mid February). 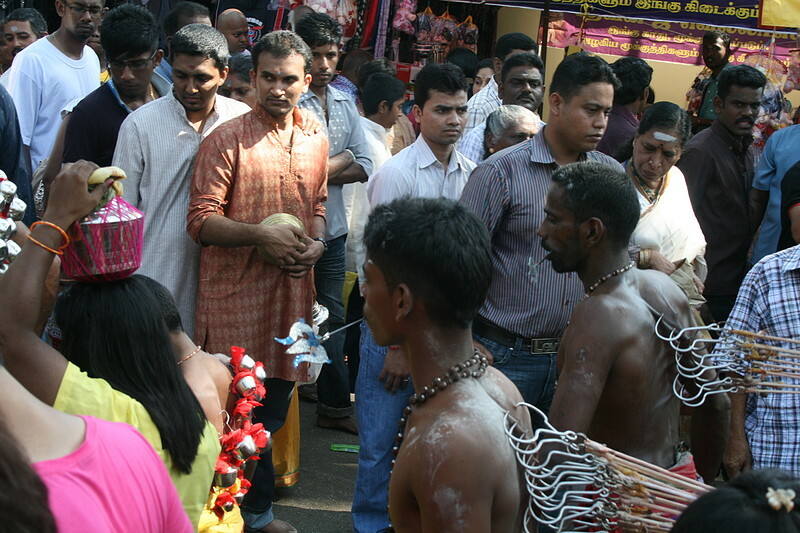 I said mostly Tamil because we came across Westerners and local Chinese who followed the pilgrimage procession and participated in the offering of Kavadi. 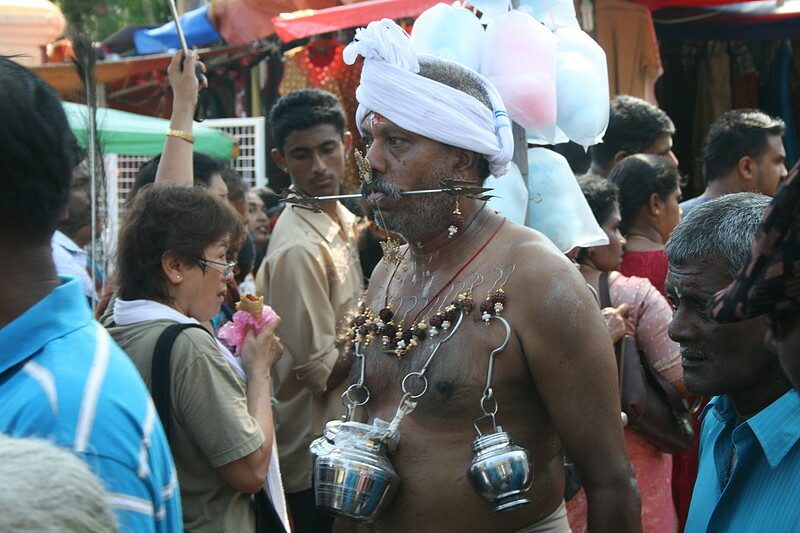 The word Thaipusam is derived from the name of the month, Thai and Pusam, which refers to a start that is at its highest point during the festival. 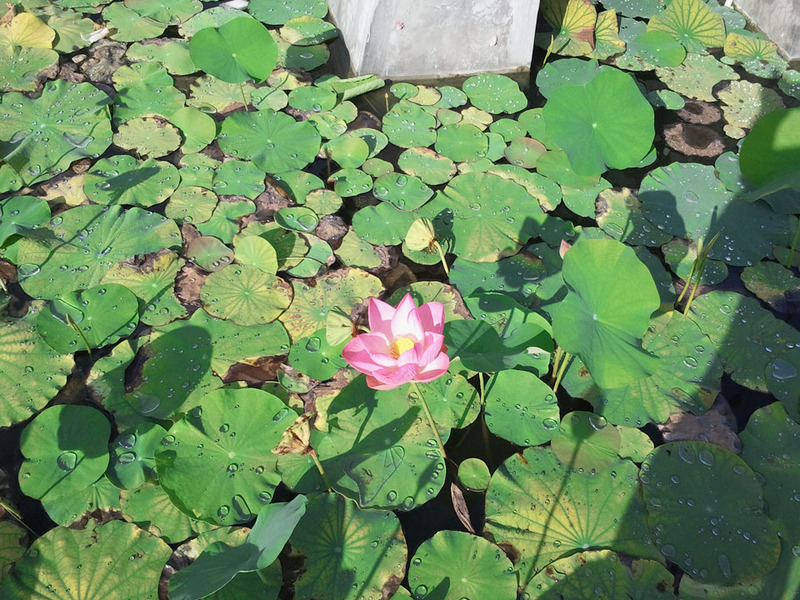 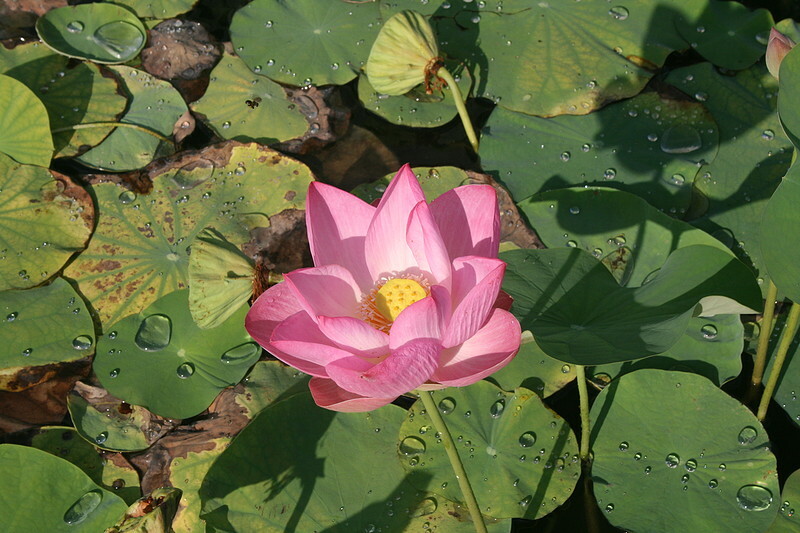 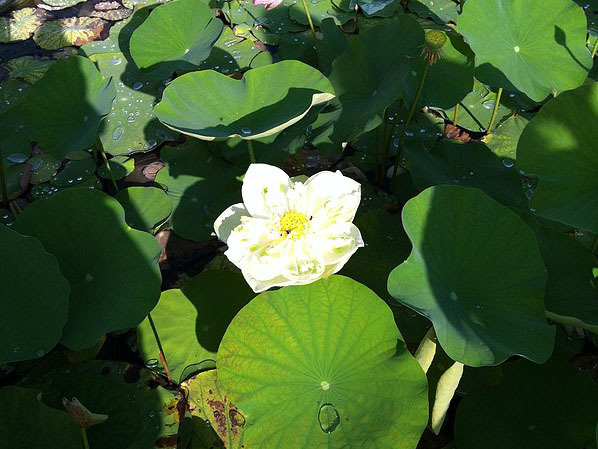 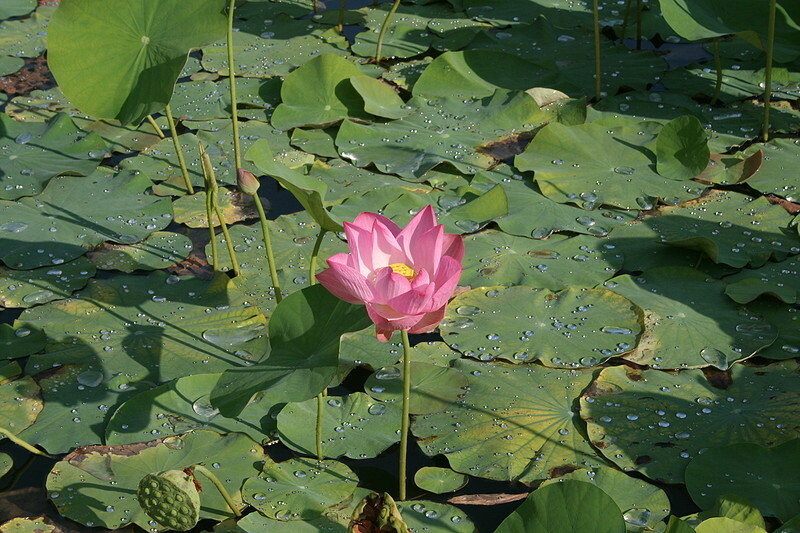 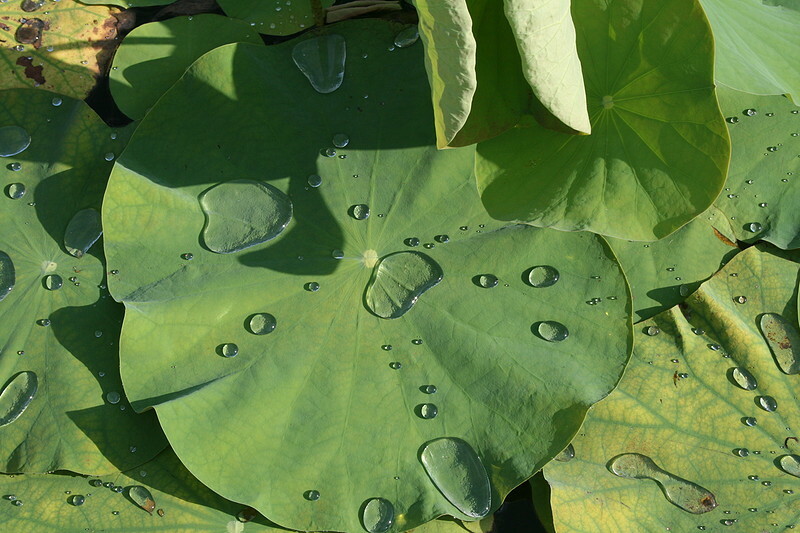 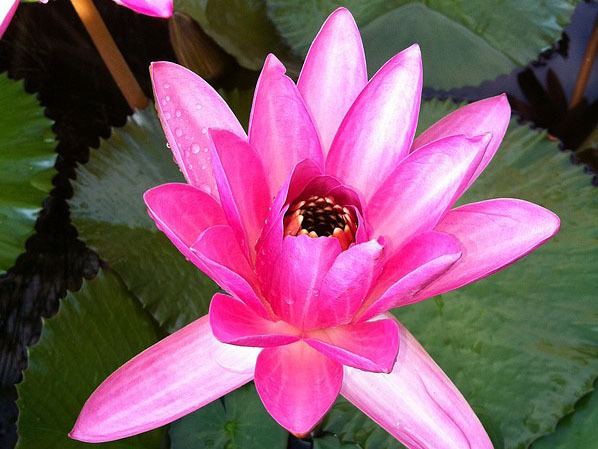 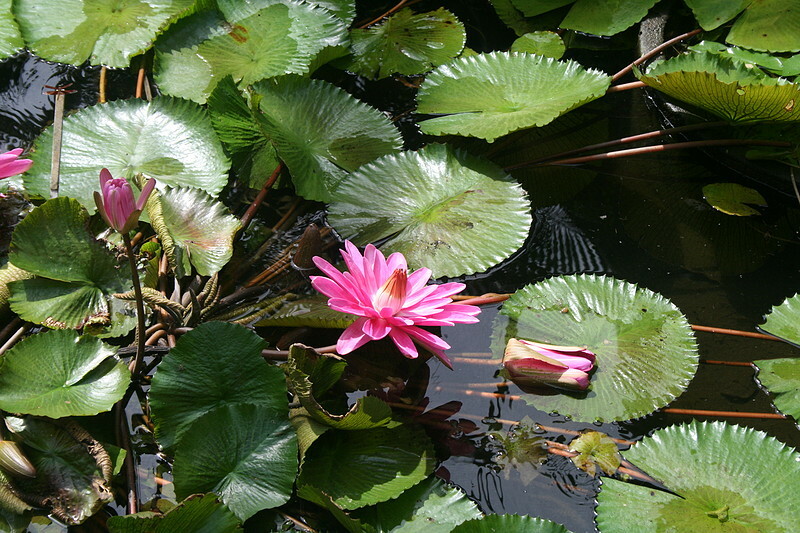 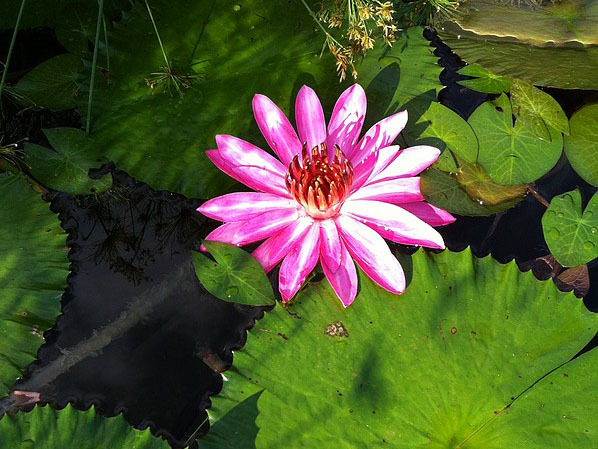 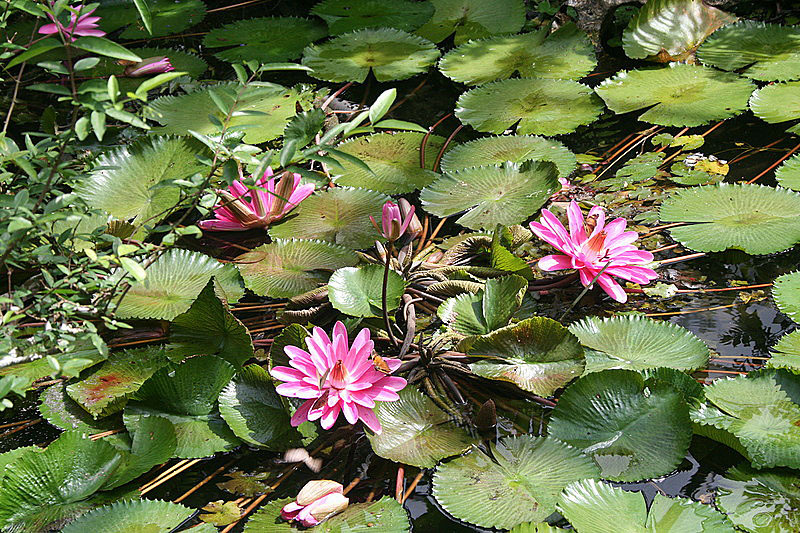 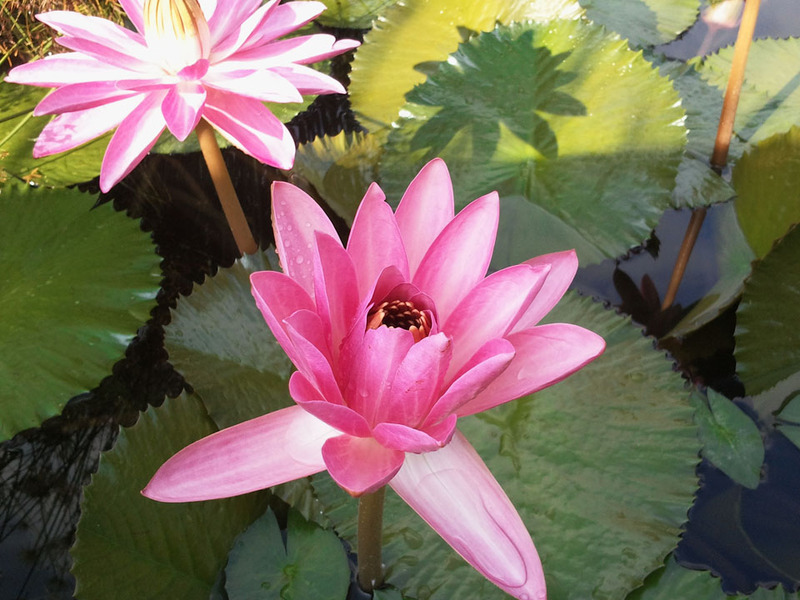 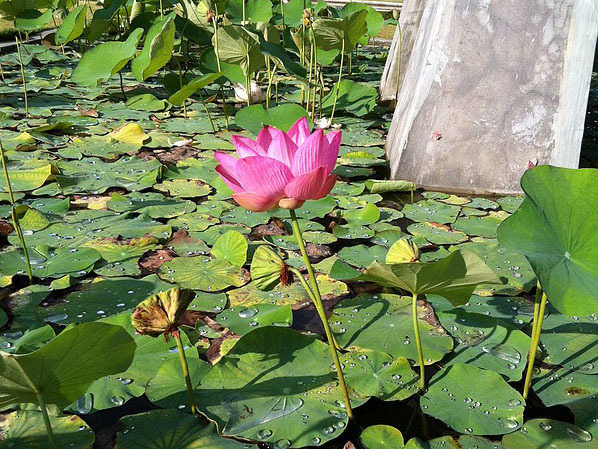 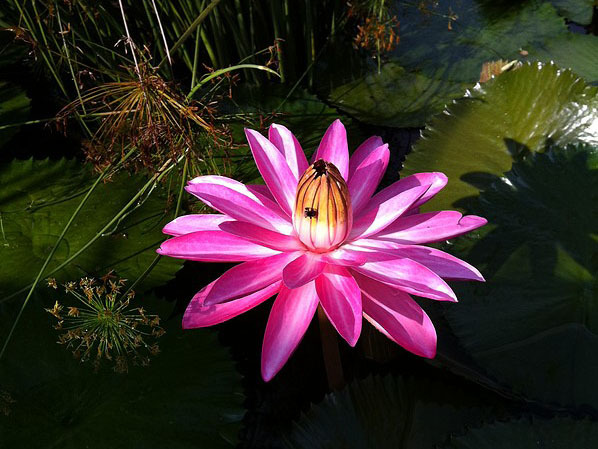 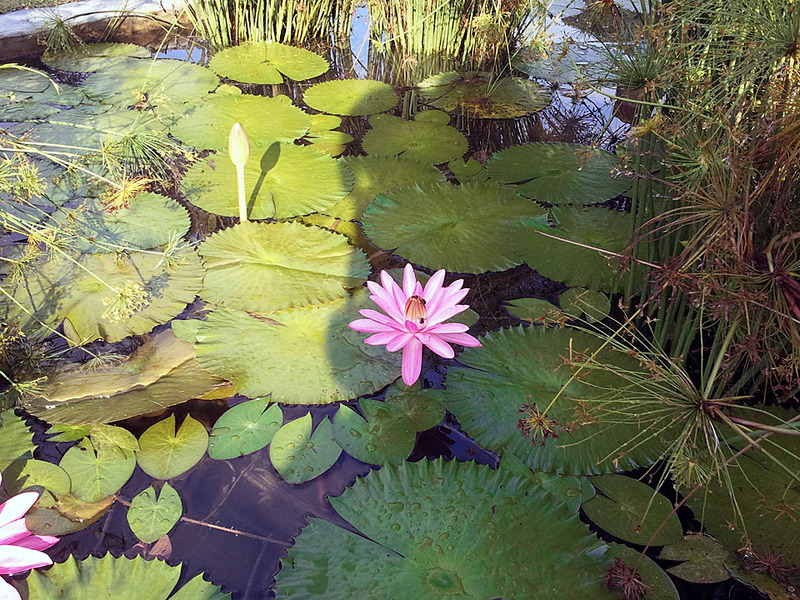 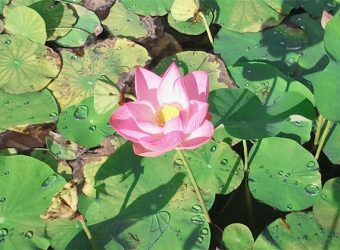 We just love the sight of water lilies. 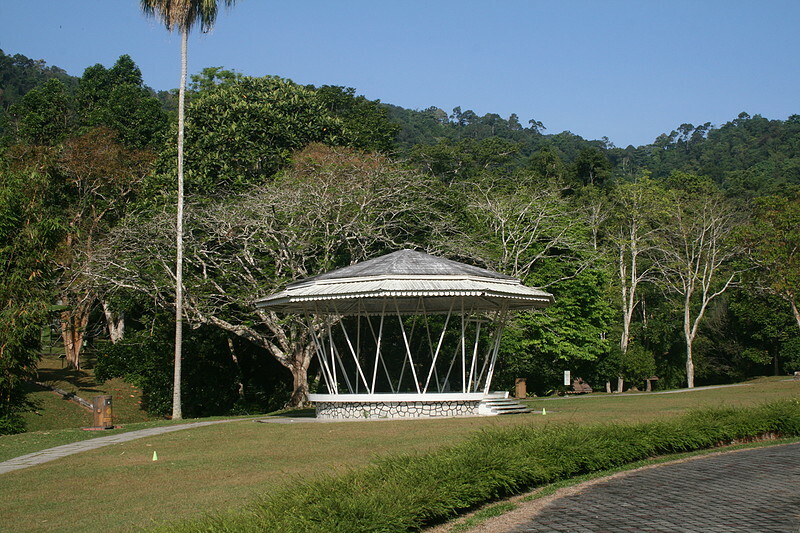 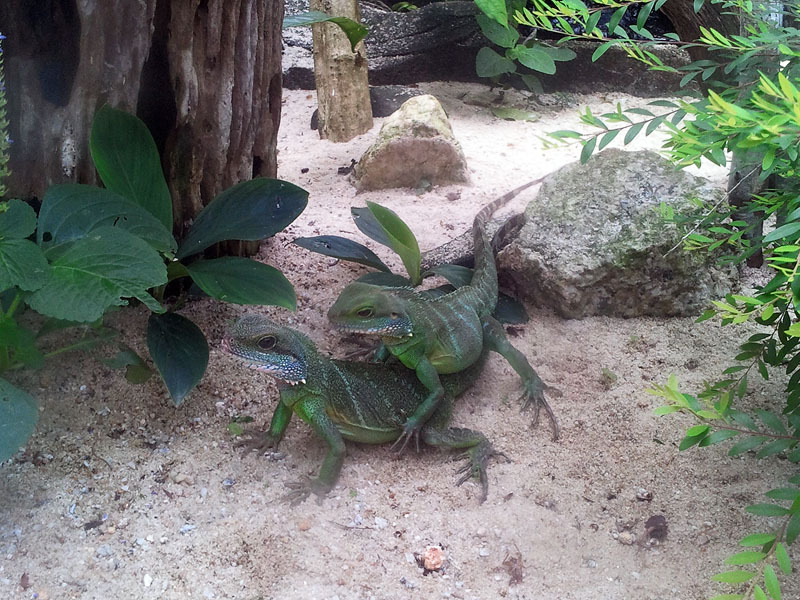 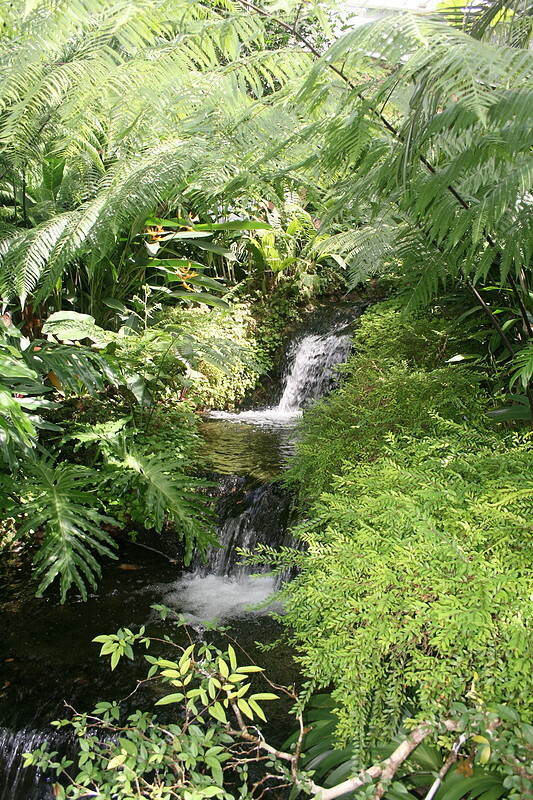 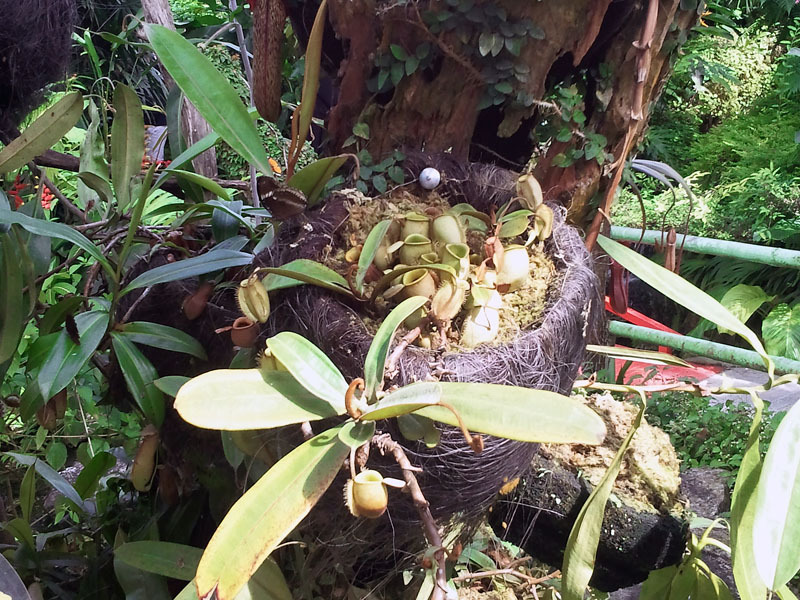 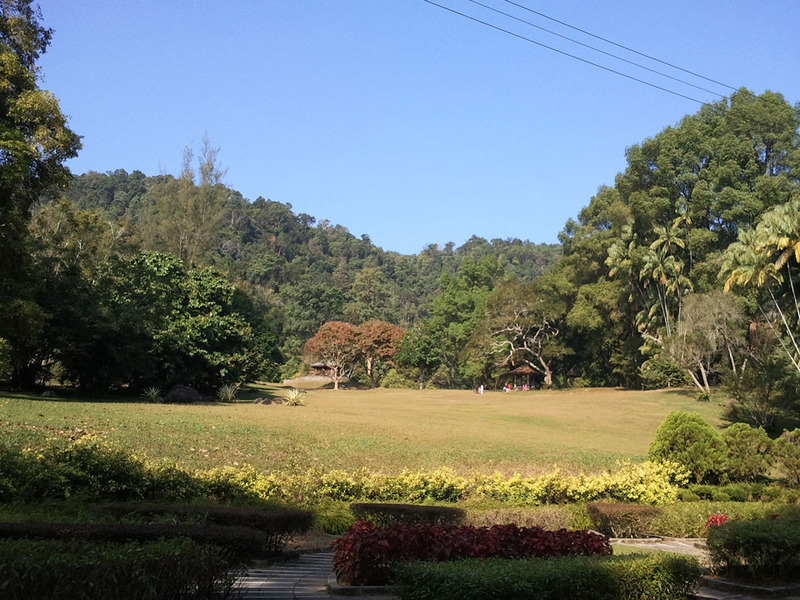 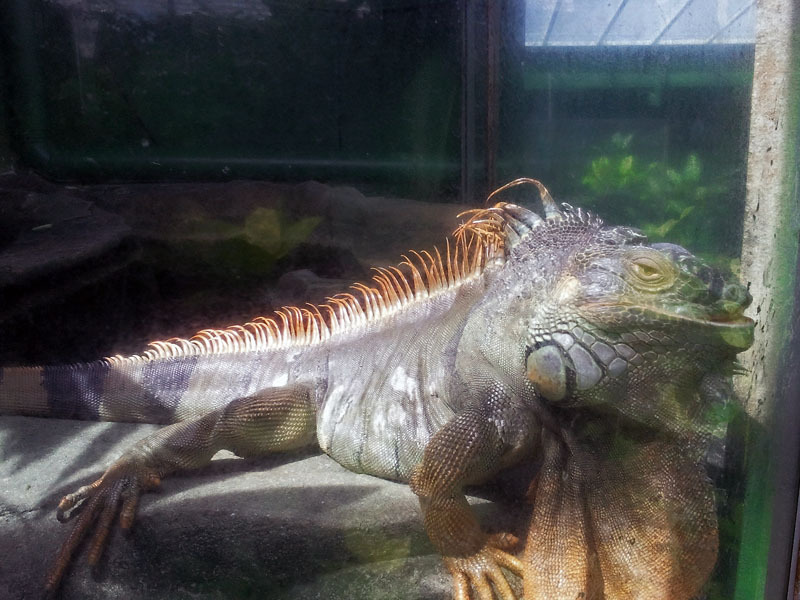 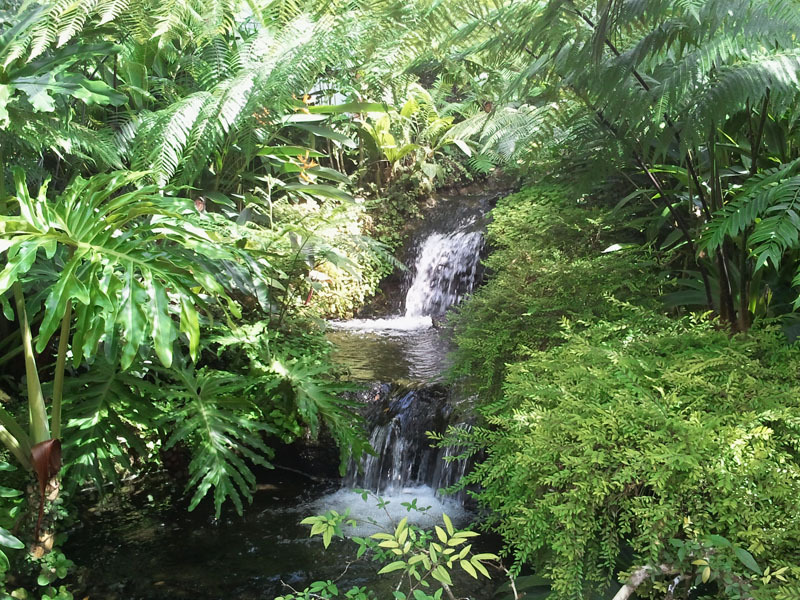 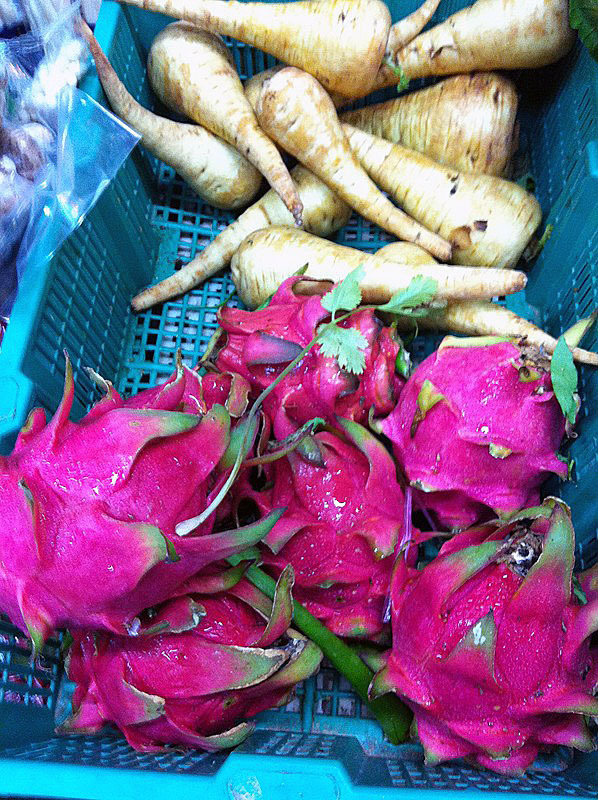 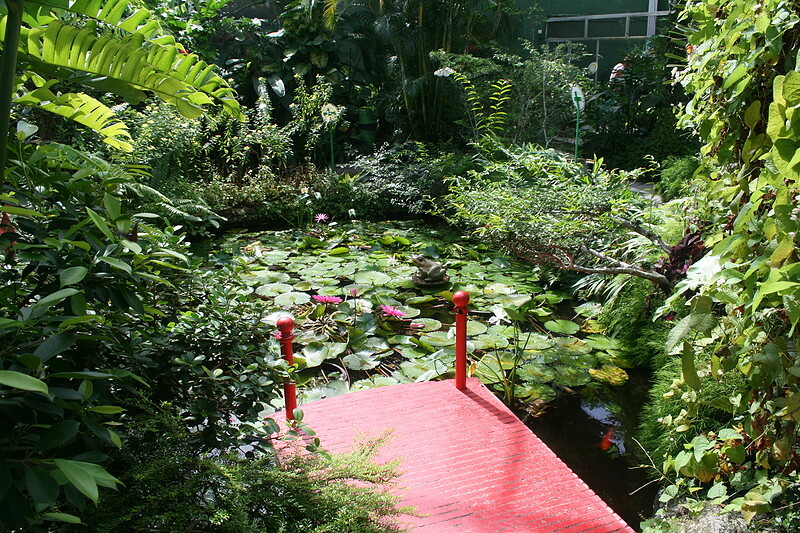 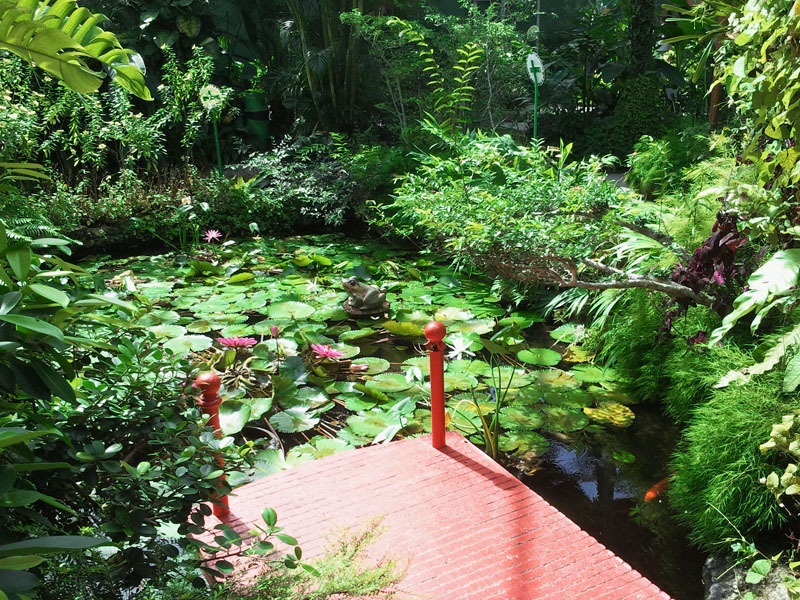 A collection of photos taken from our visit to the Penang Botanical Gardens. 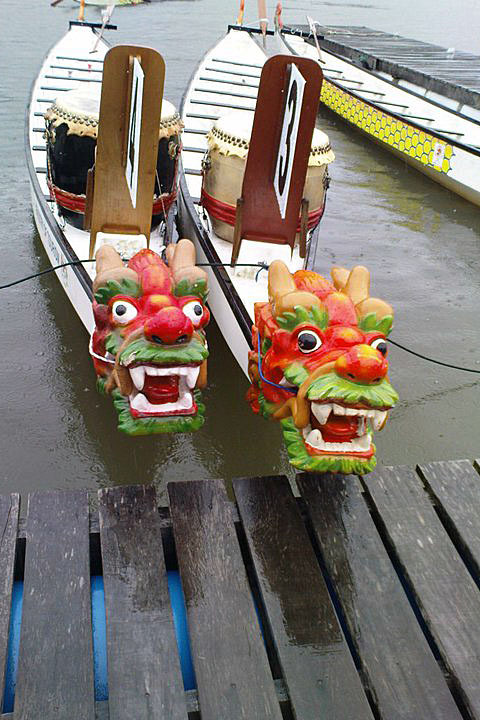 Plenty more to do and see on site and definitely worth a visit. 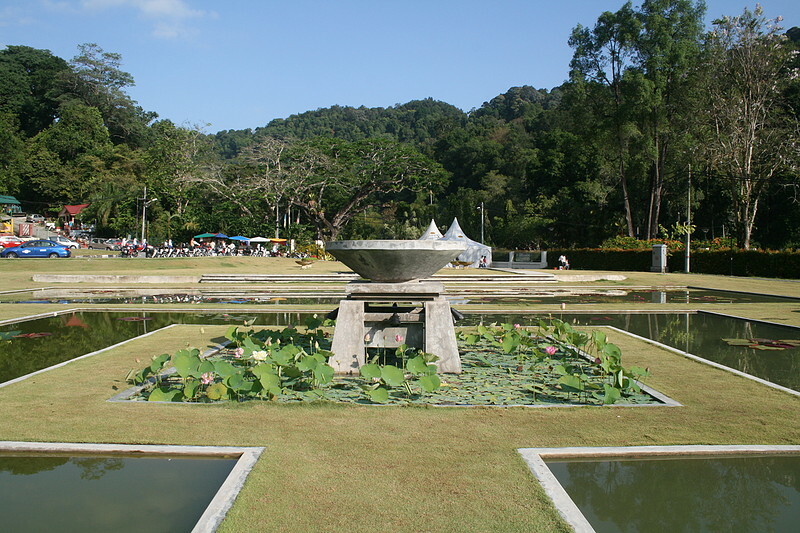 Elsewhere at the Botanical Gardens, Penang. 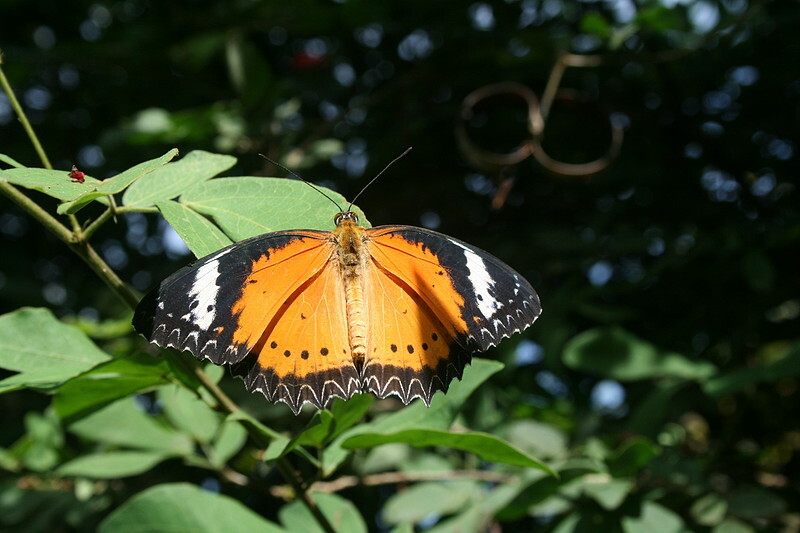 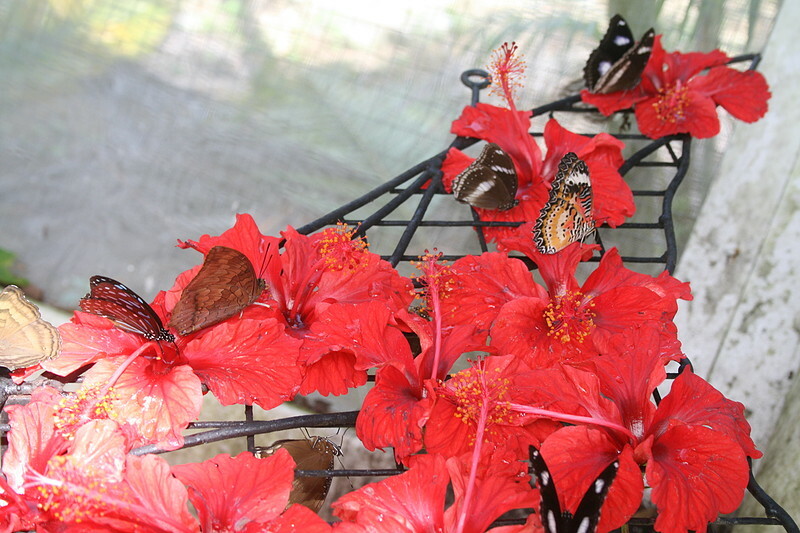 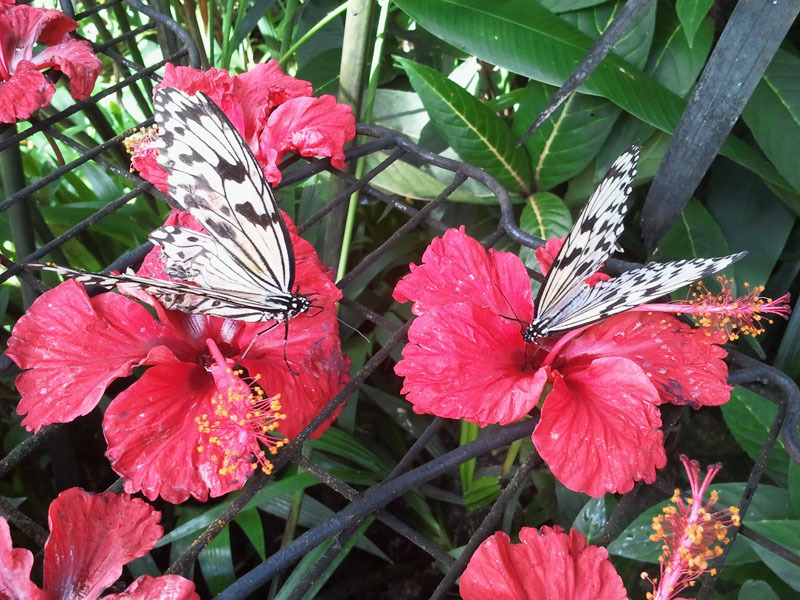 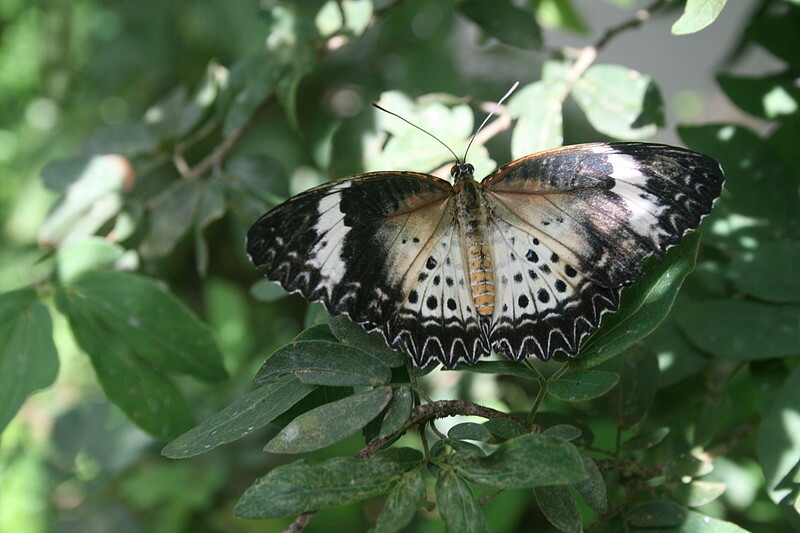 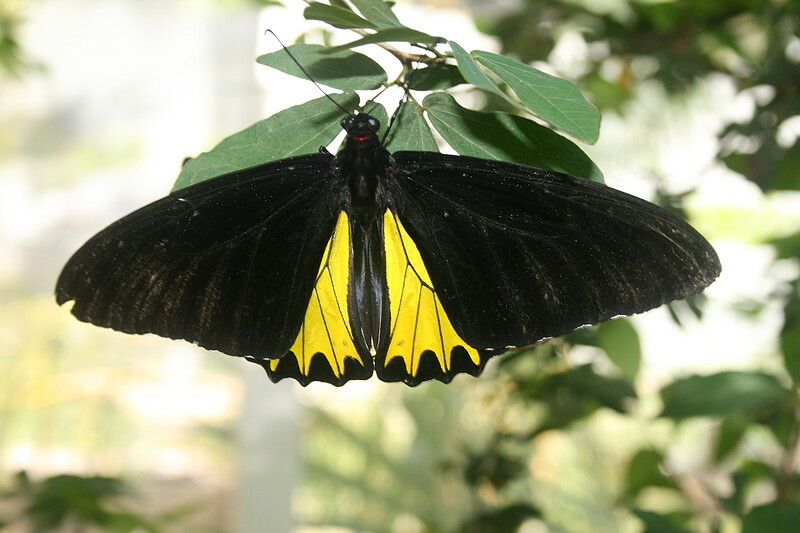 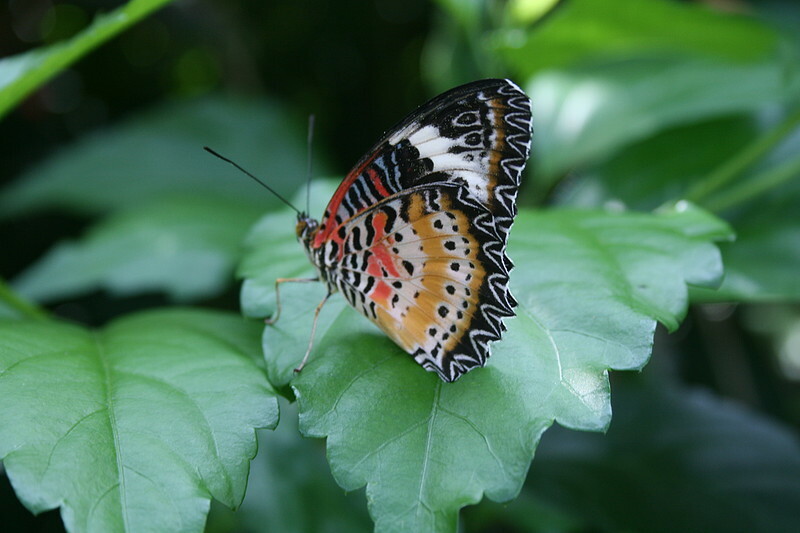 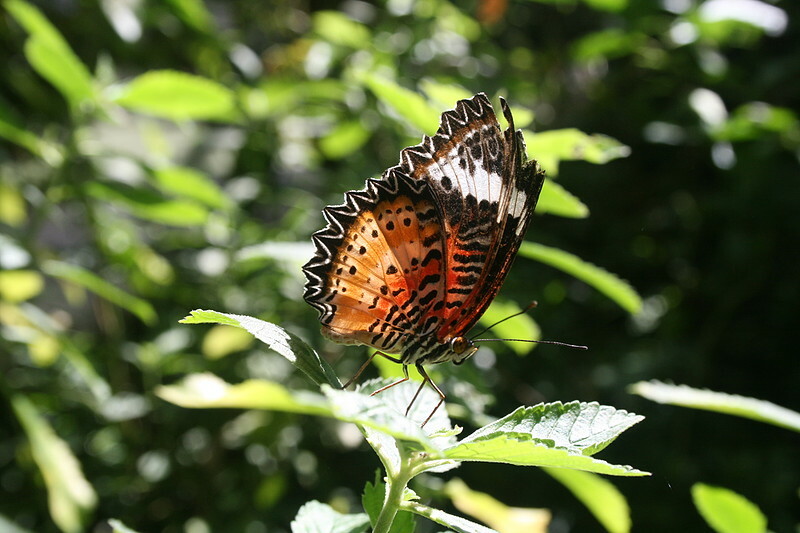 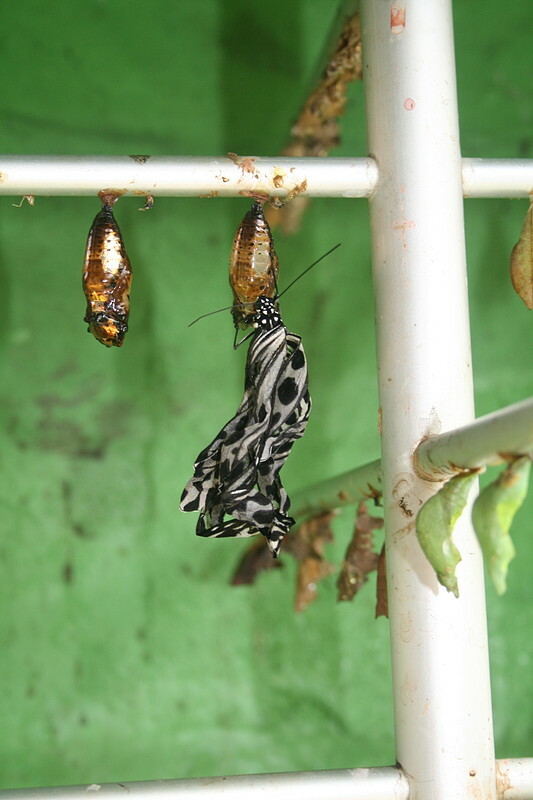 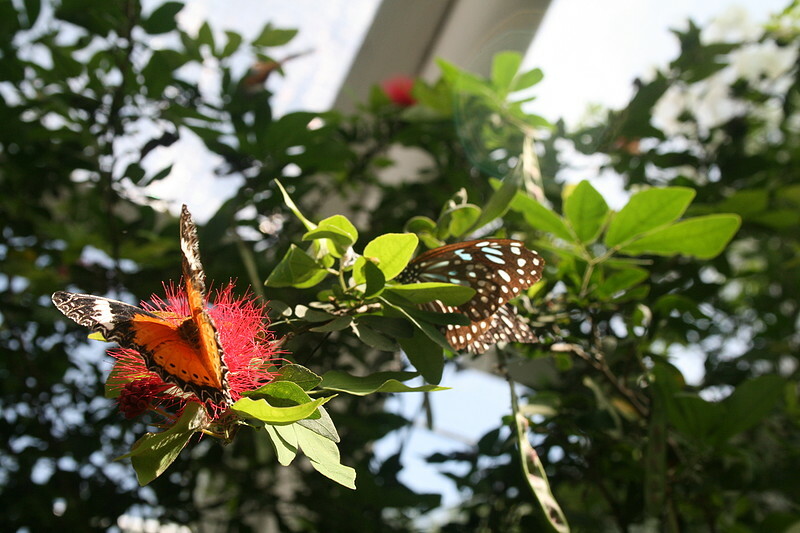 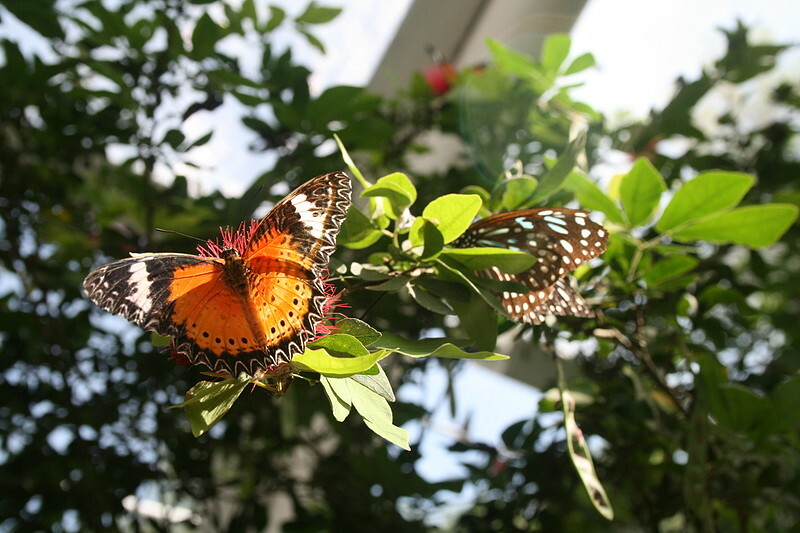 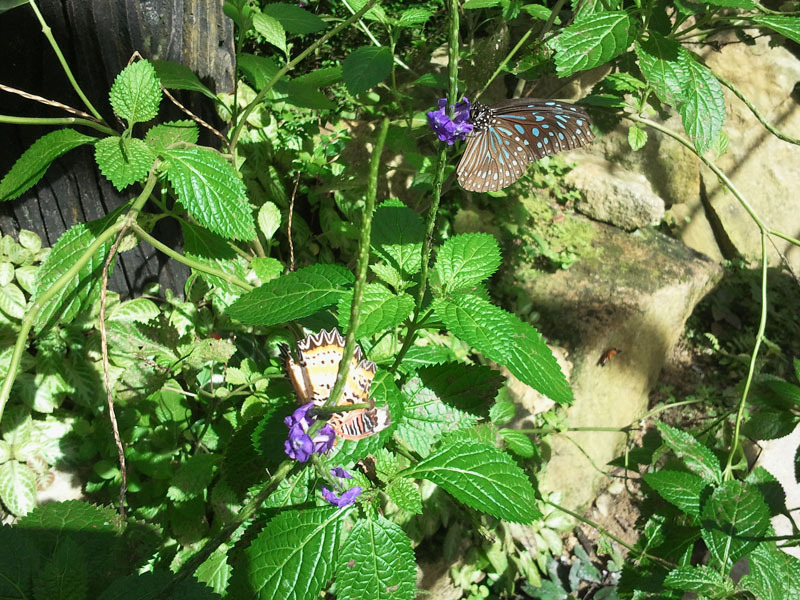 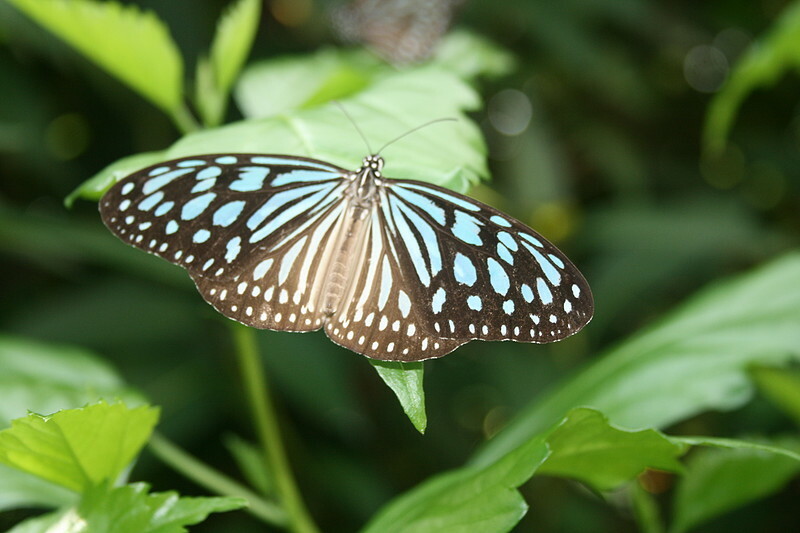 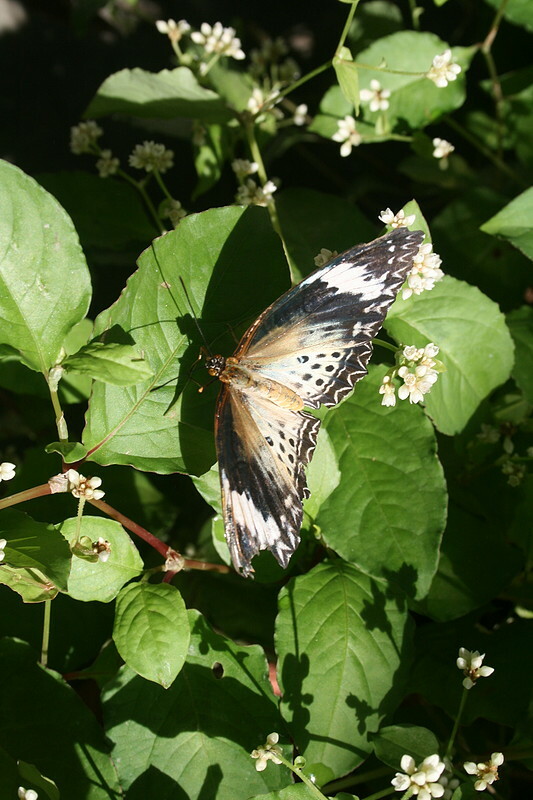 A collection of photos taken from our visit to the Penang Butterfly Farm in Teluk Bahang. 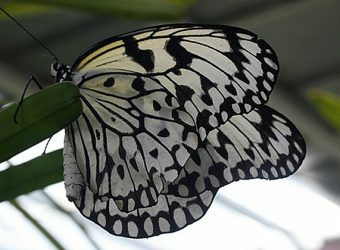 Plenty more to see on site and definitely worth a visit.